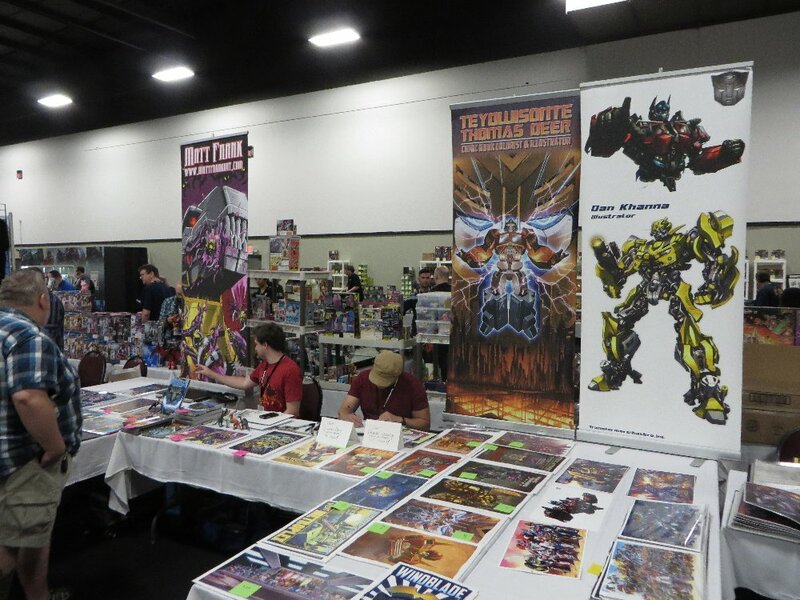 Friday, from the corner of the Artists (left) to the Hartmans tables (right). 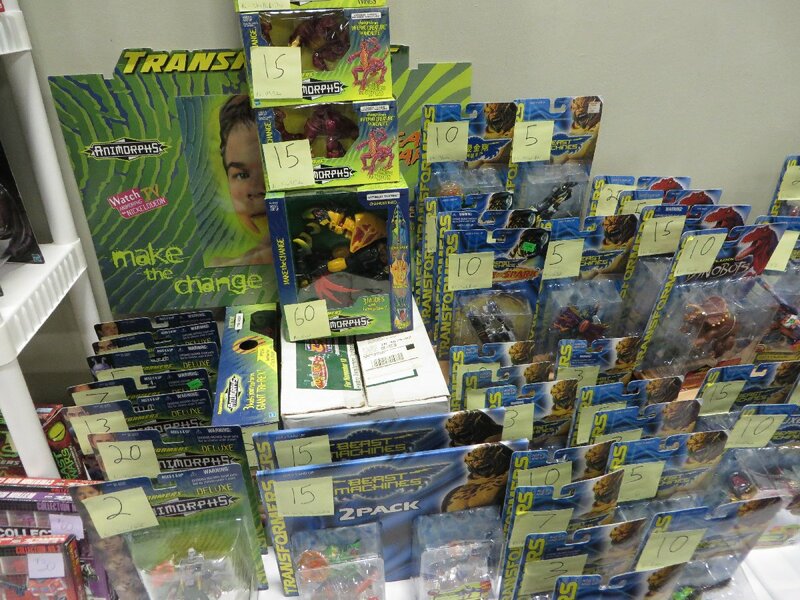 Hasbro display - smaller than the last few years, and a lot simpler set-up. 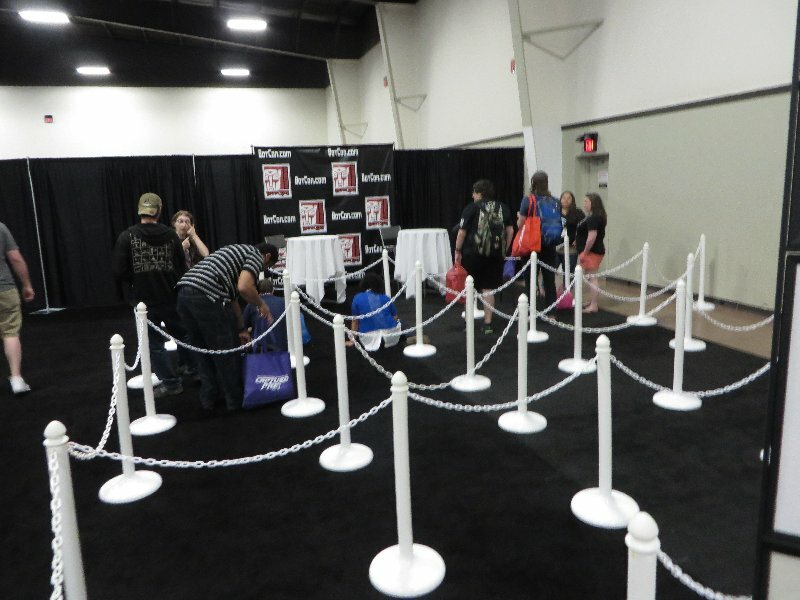 The autograph area... which was also a lot smaller than recent years. 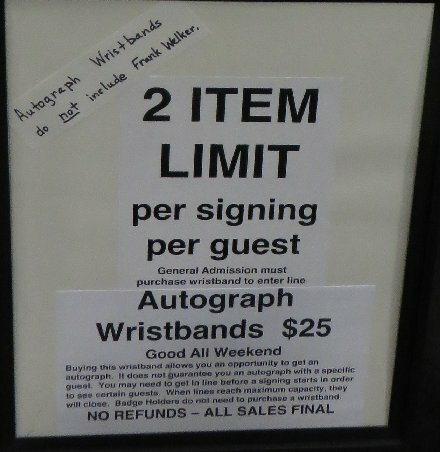 And with a lot less sessions. 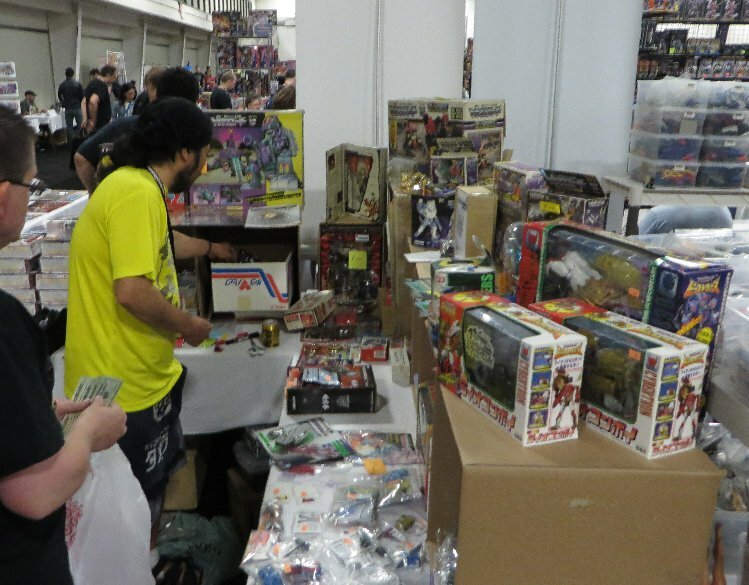 Sue and John during their Friday session. 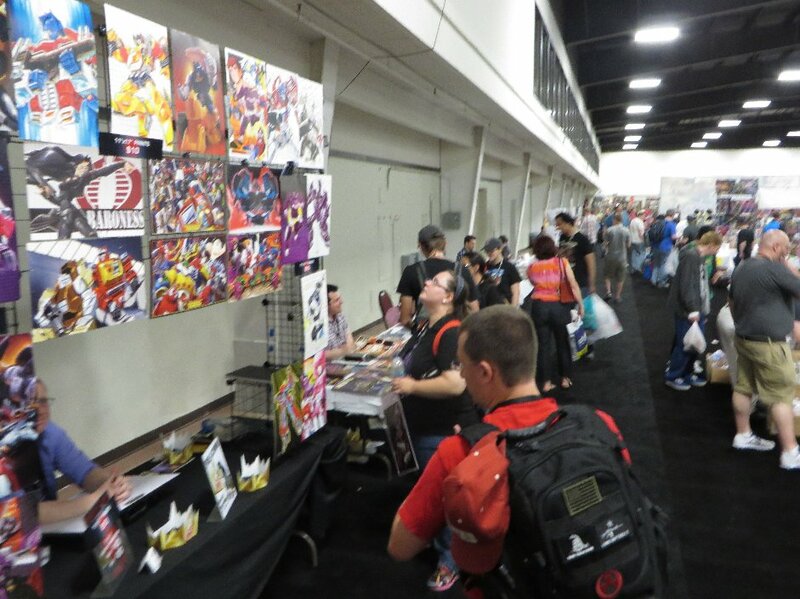 The Art Contest area - See the entries HERE. 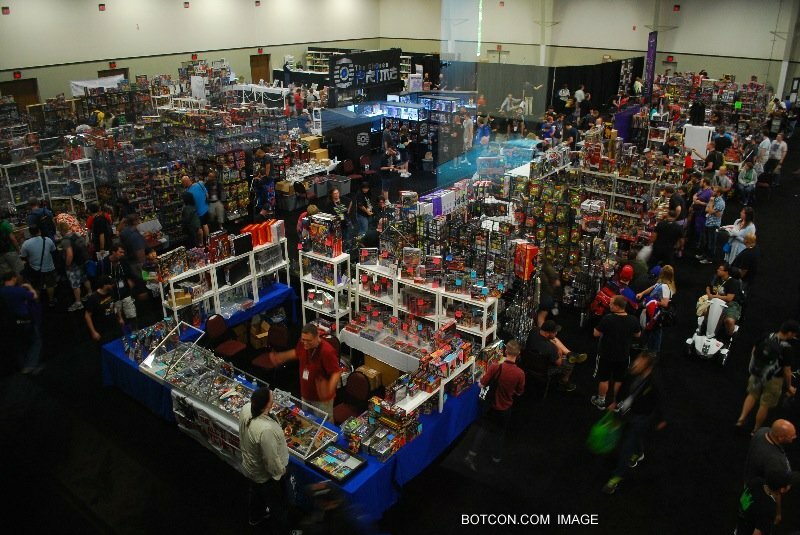 The Club Store this year. 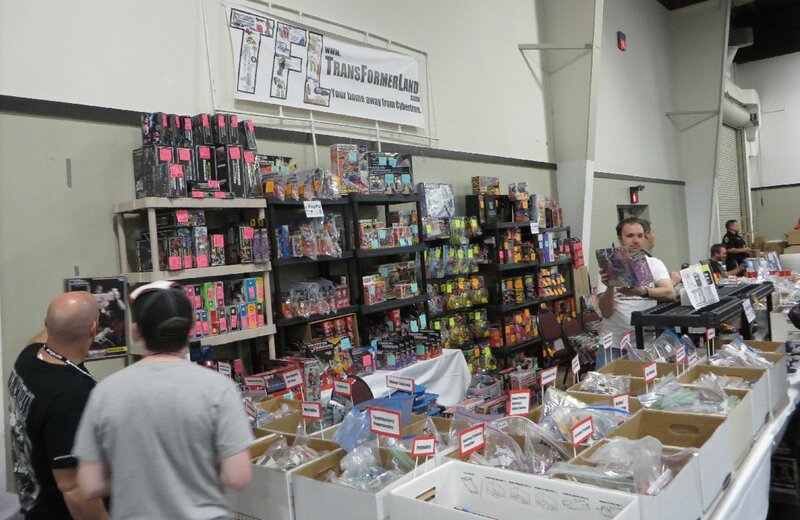 I kid you not, this was the photo of mine that had the most customers. 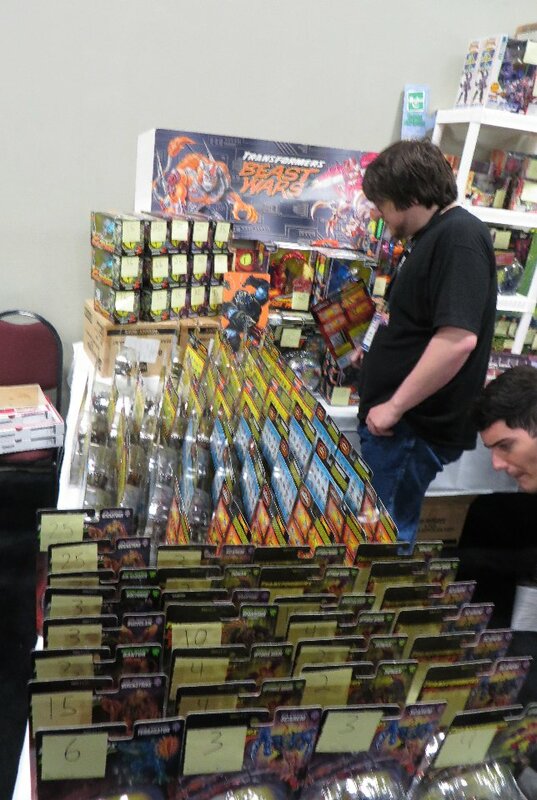 This was what I saw most of the time during the weekend. 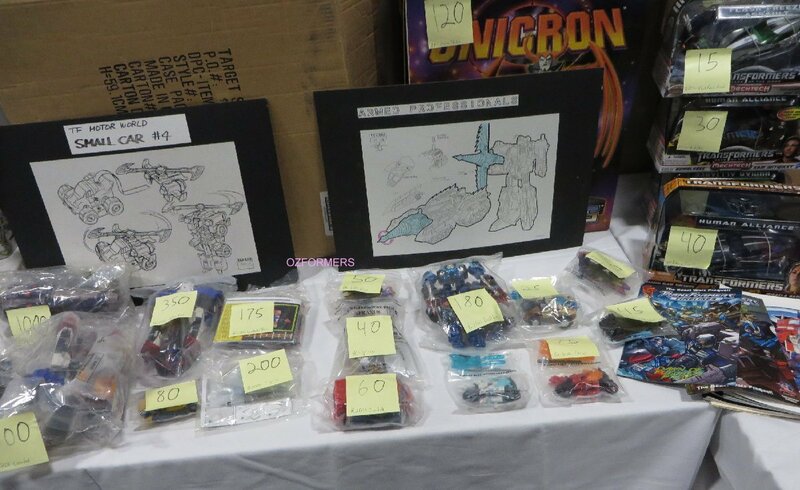 You'll see that my photos of the Dealer Room that were from all three days, had lots of empty spaces and no crowding that we got in previous years. 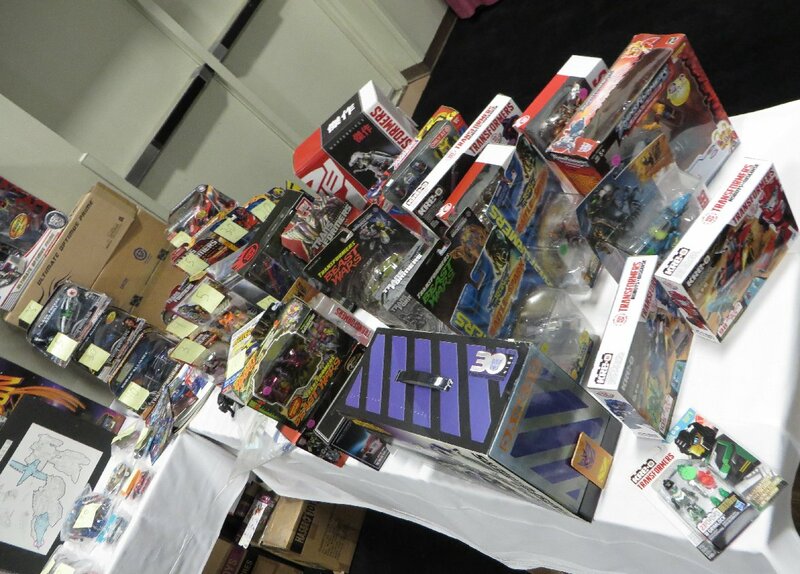 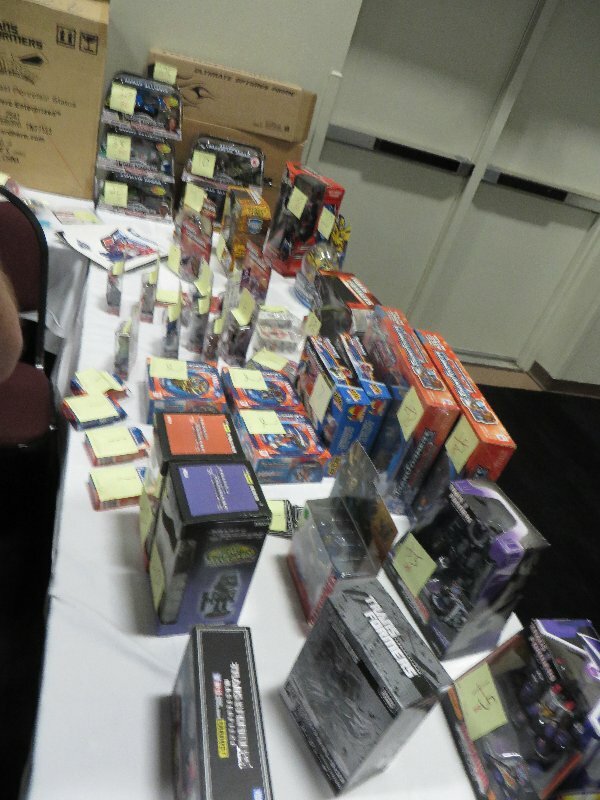 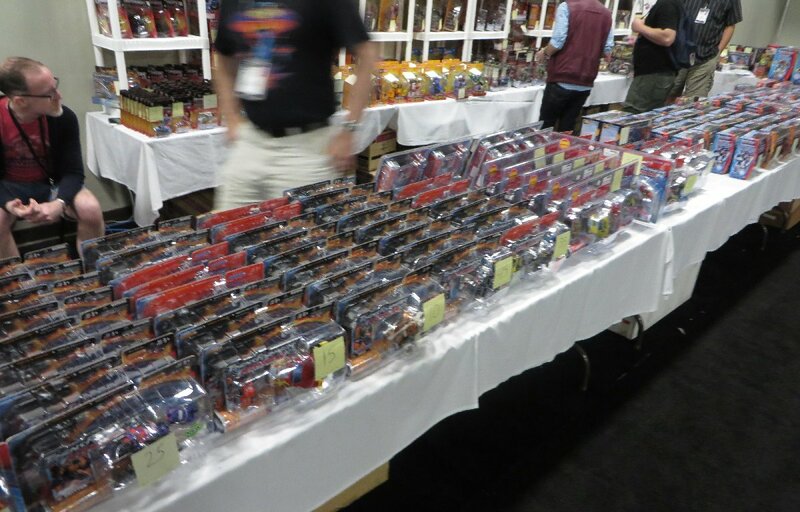 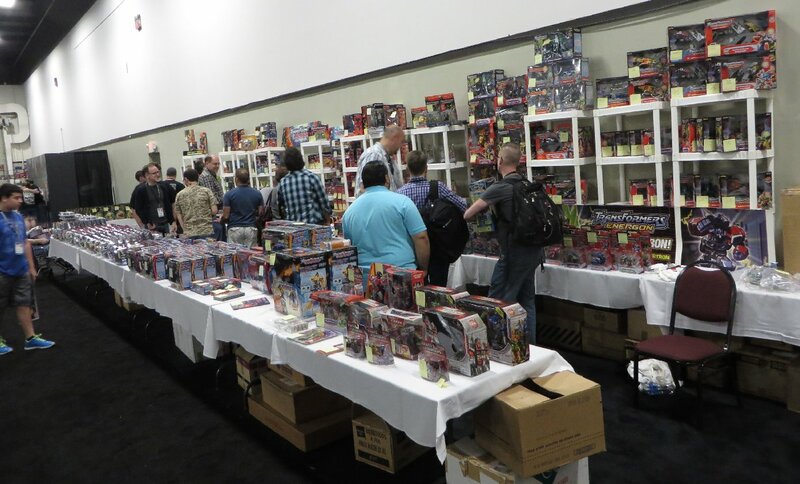 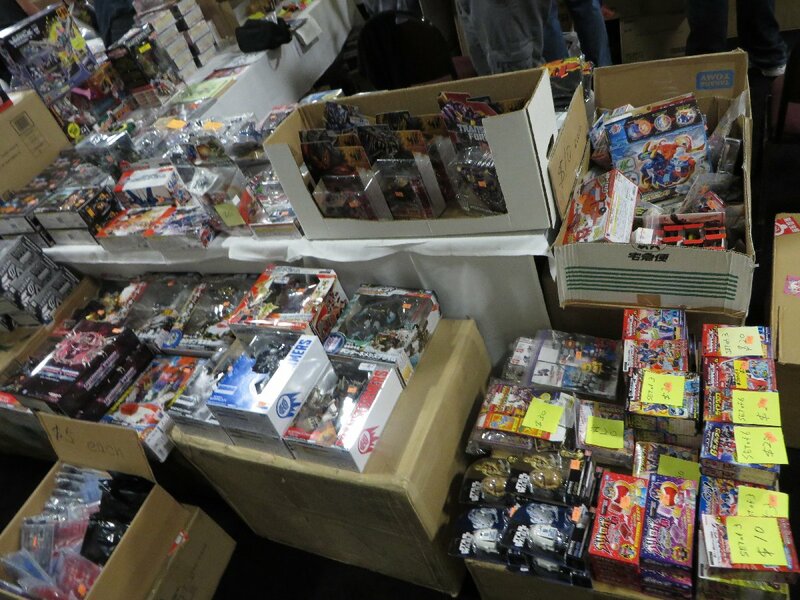 Later in the weekend FunPub had a similar thing to last year, with a table of their reject and junker toys, for people to submit offers to purchase. 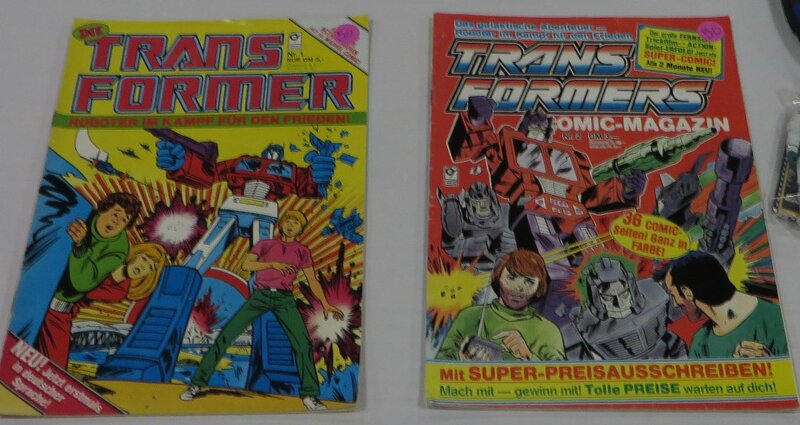 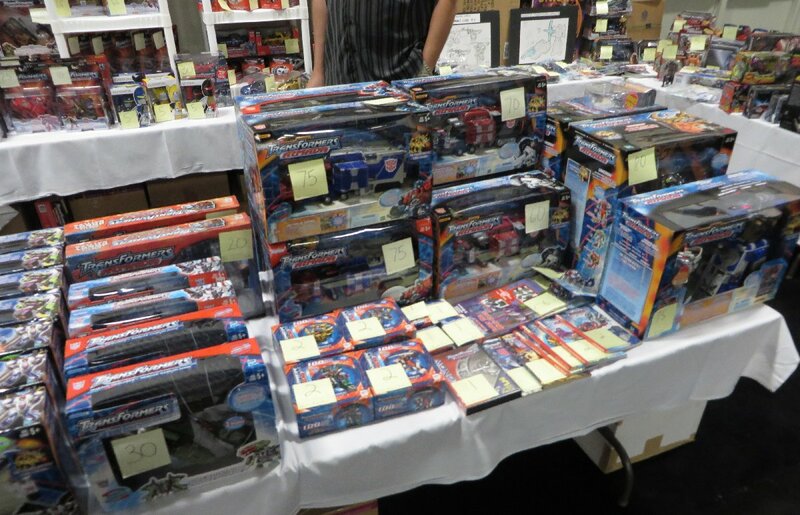 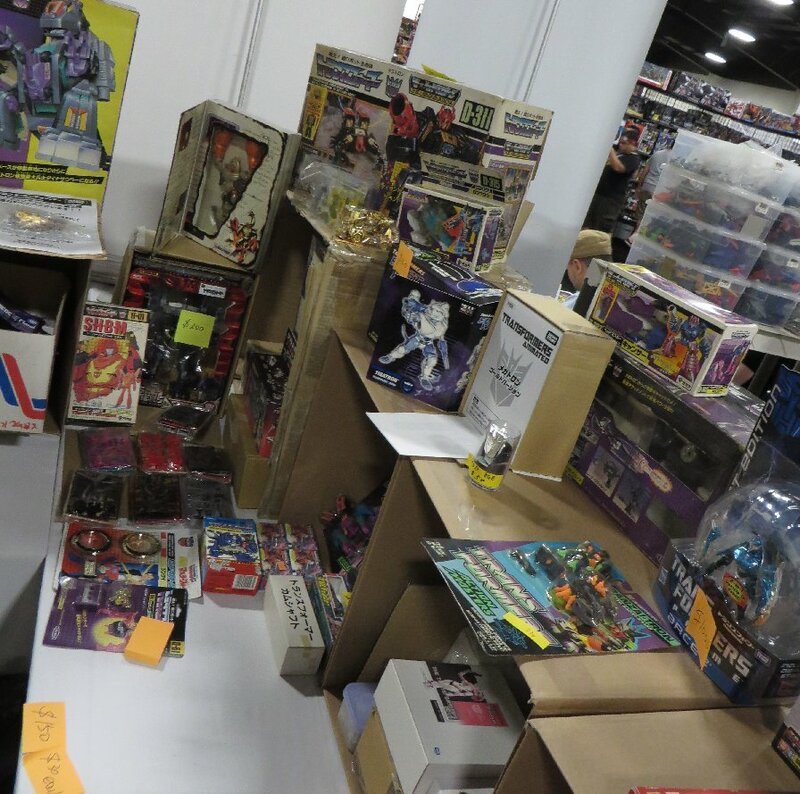 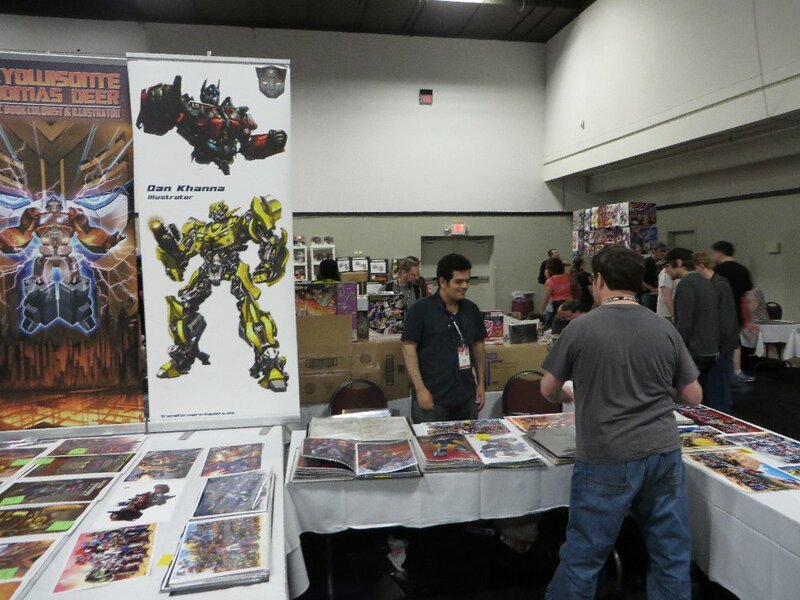 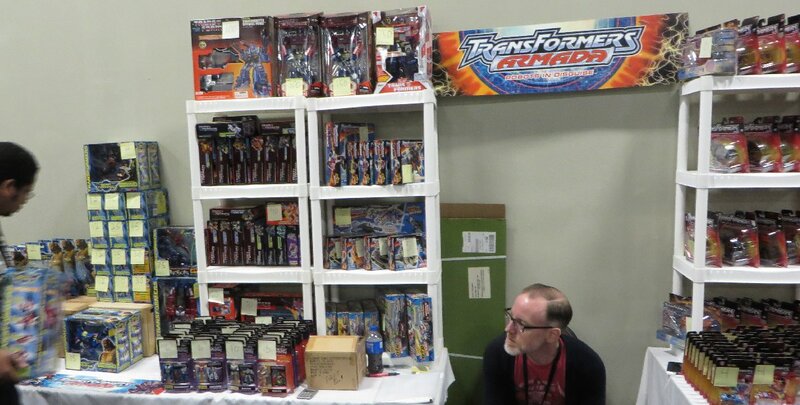 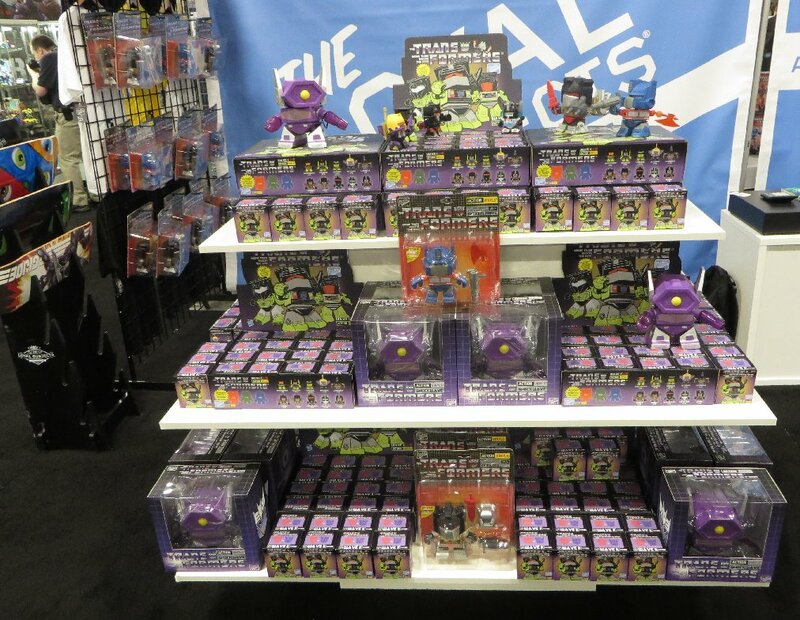 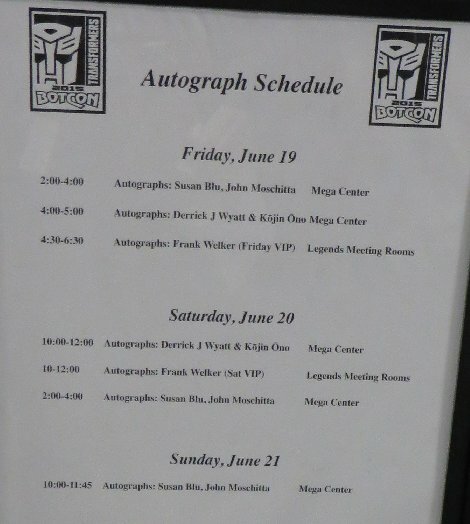 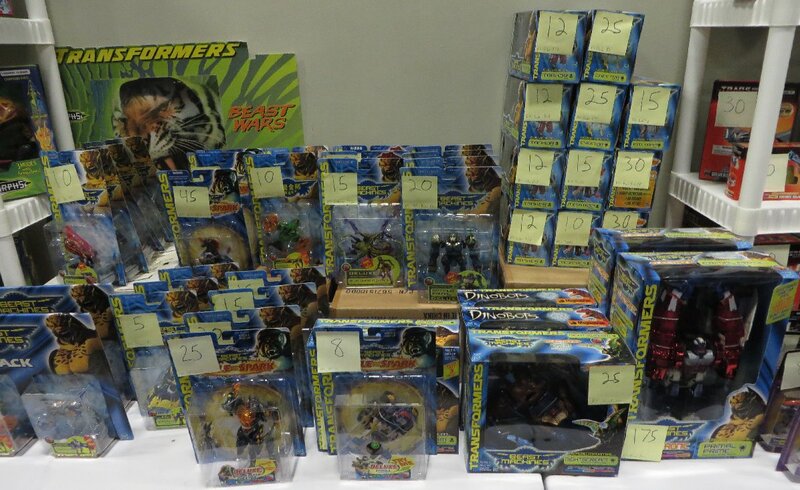 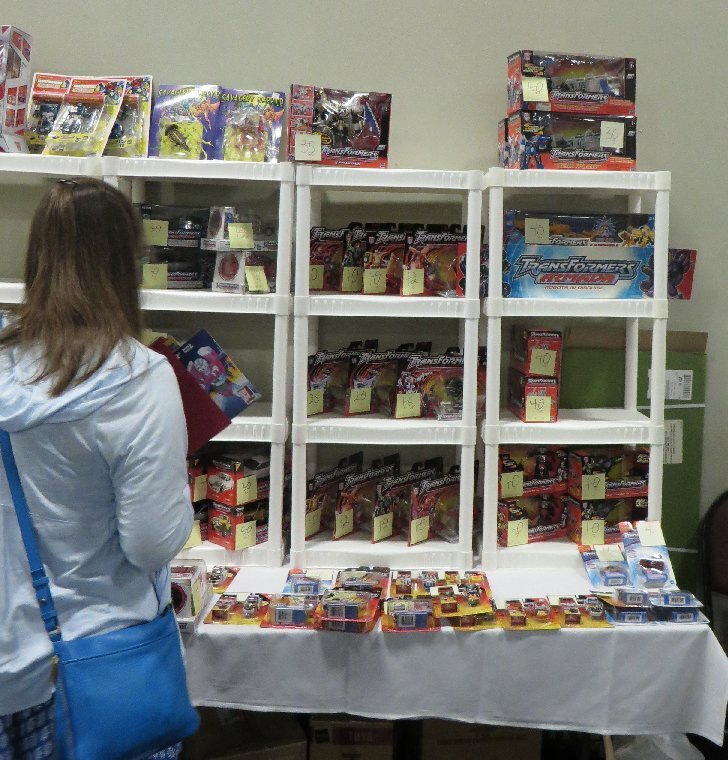 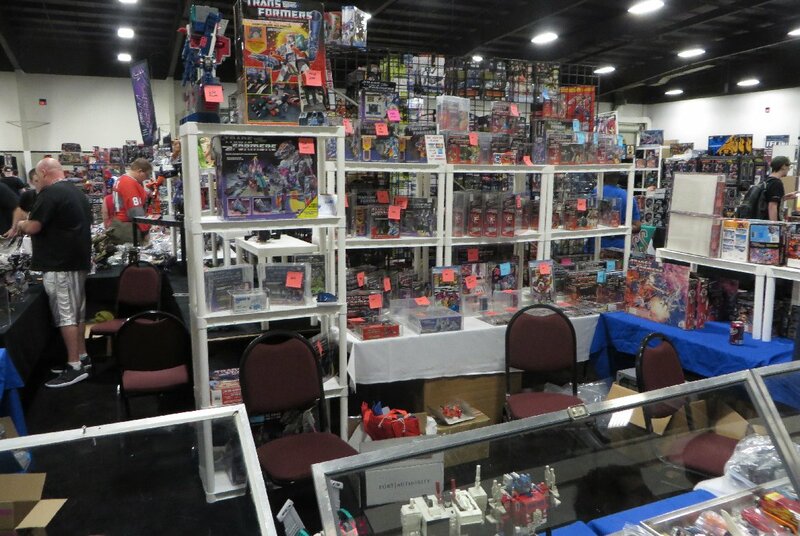 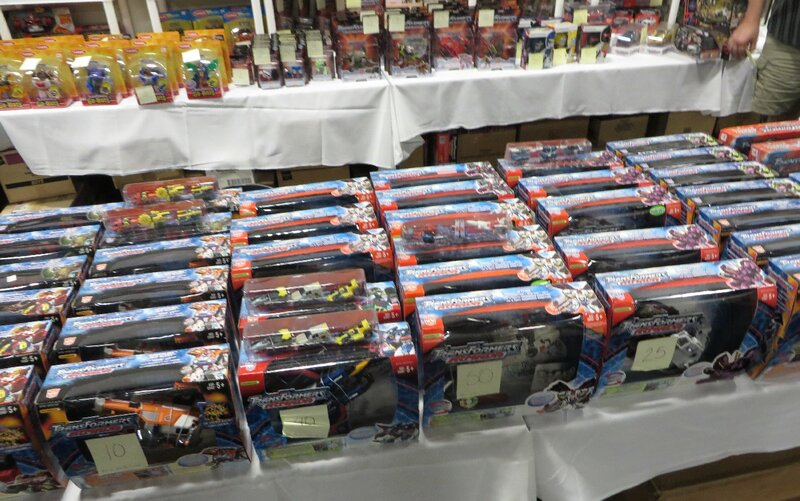 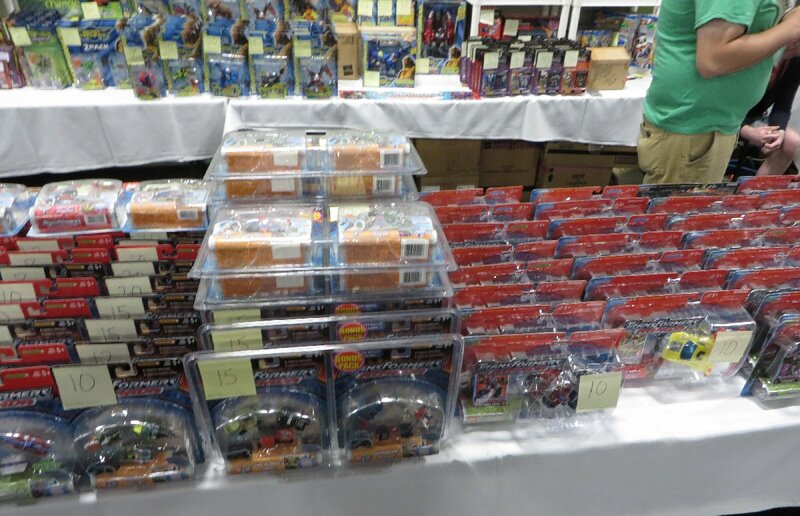 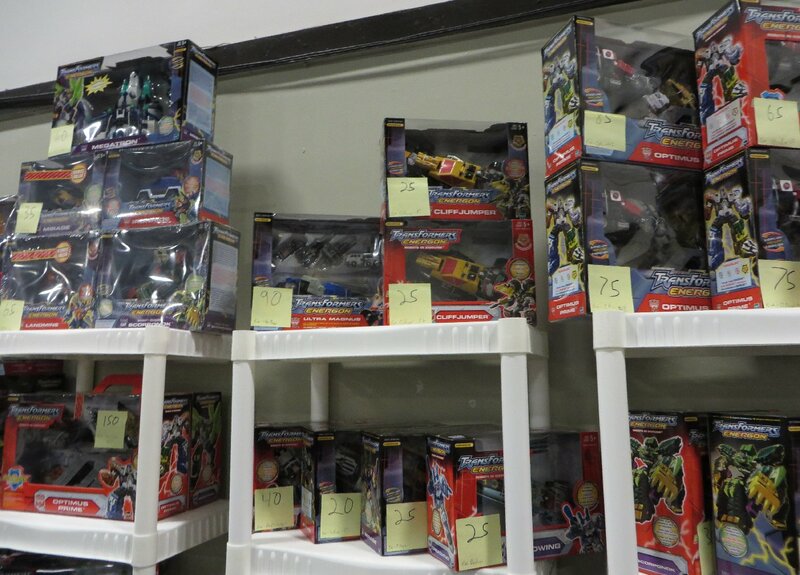 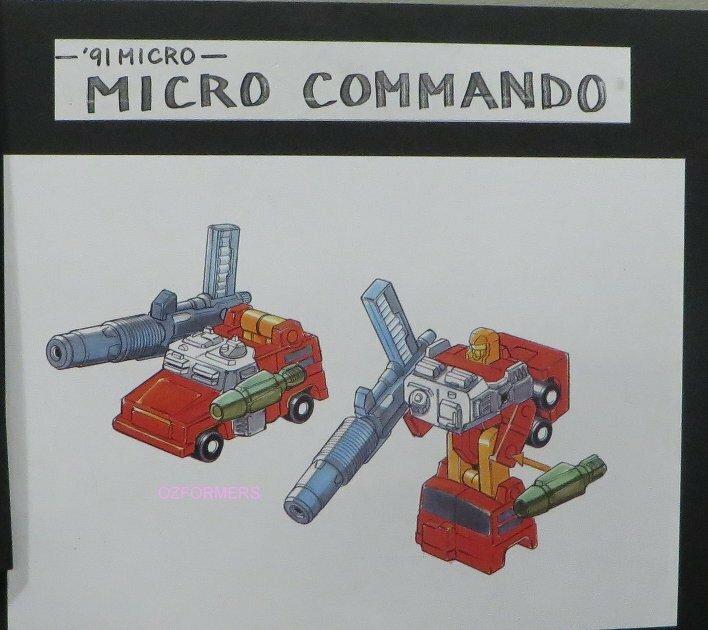 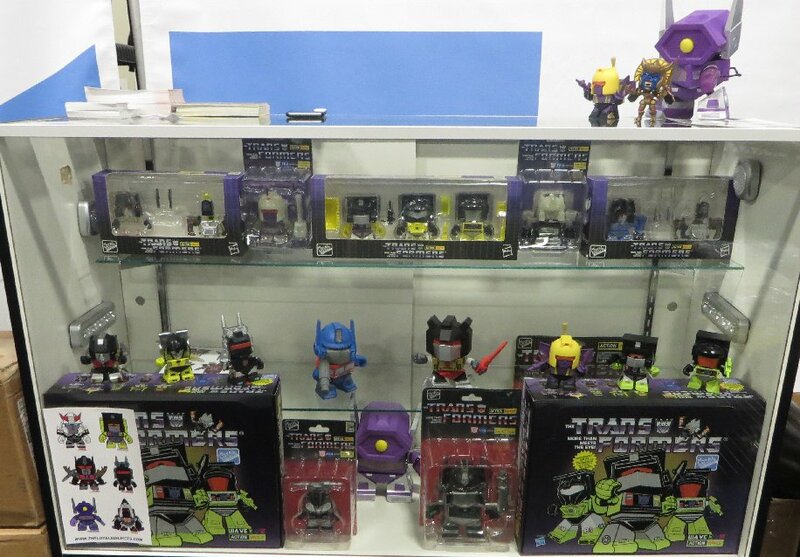 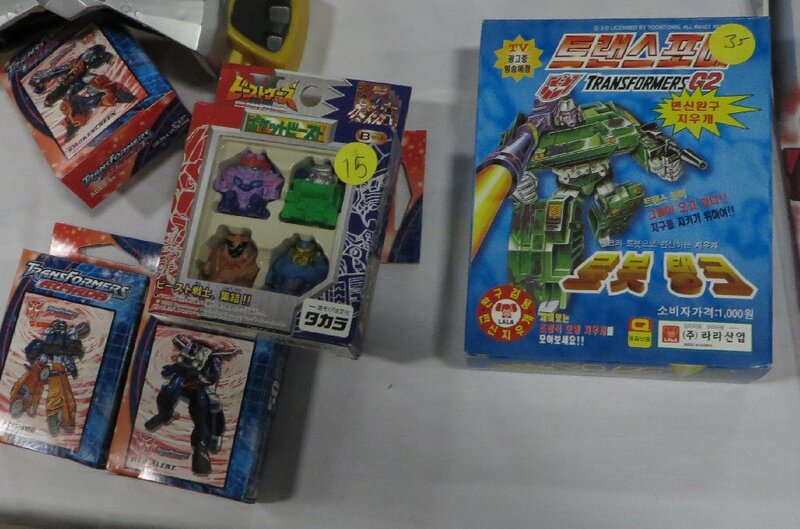 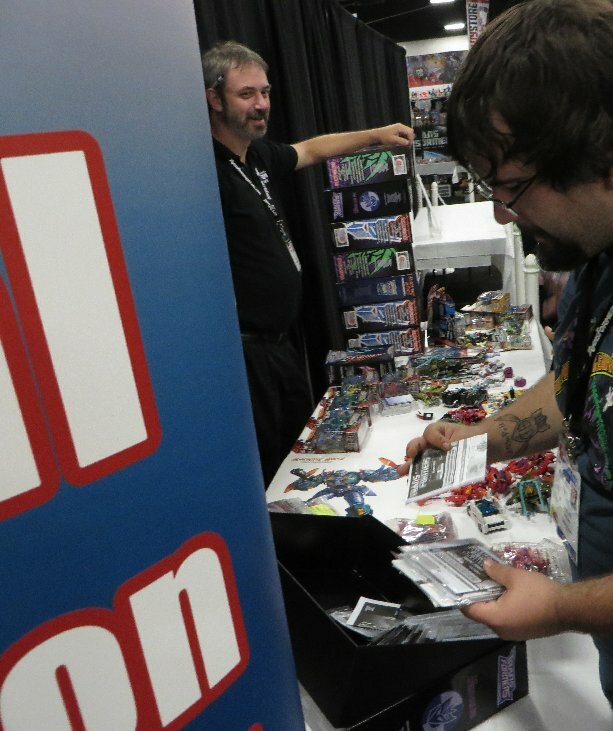 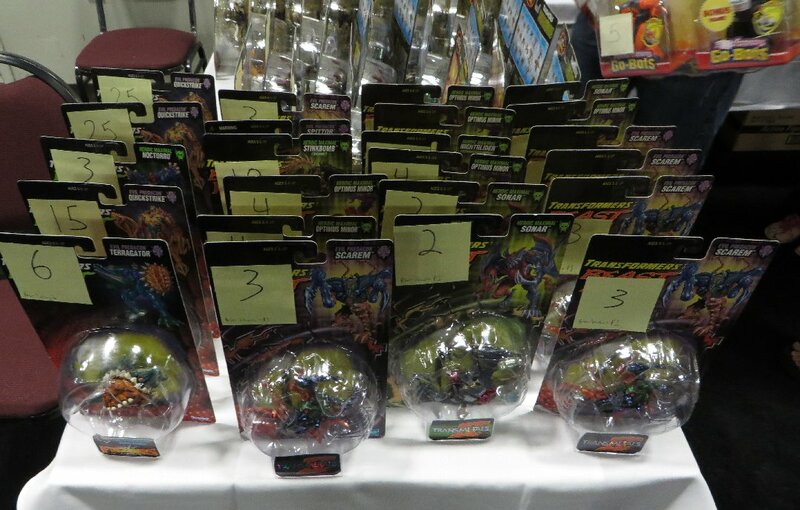 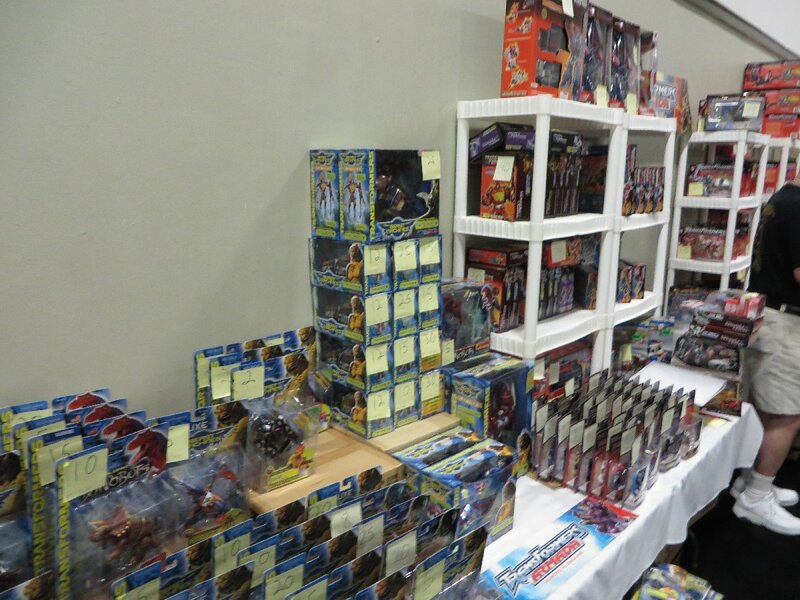 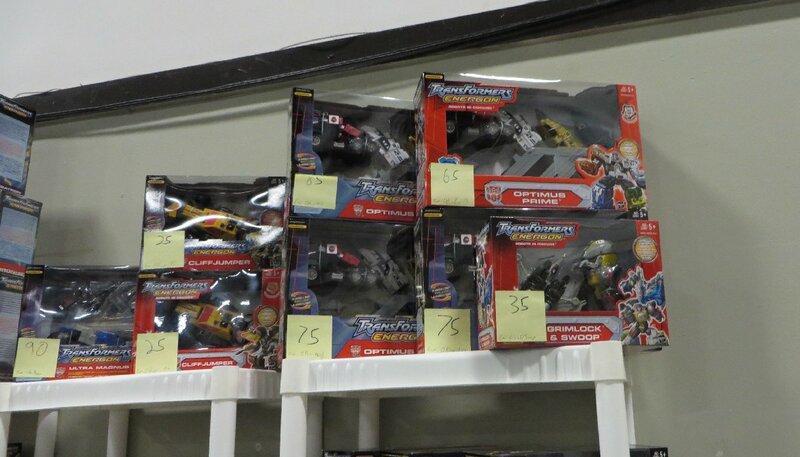 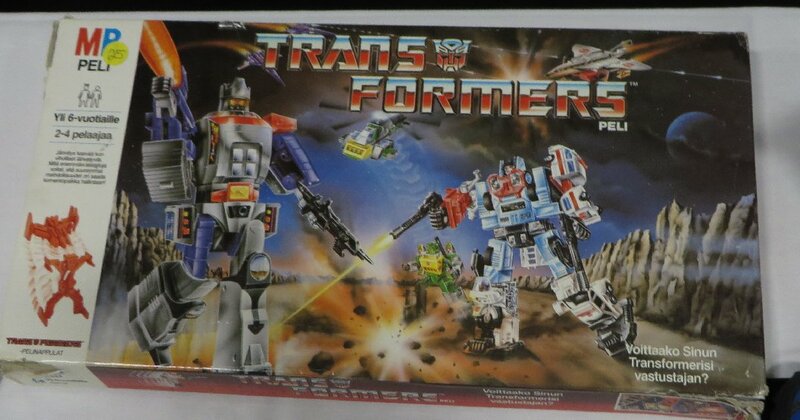 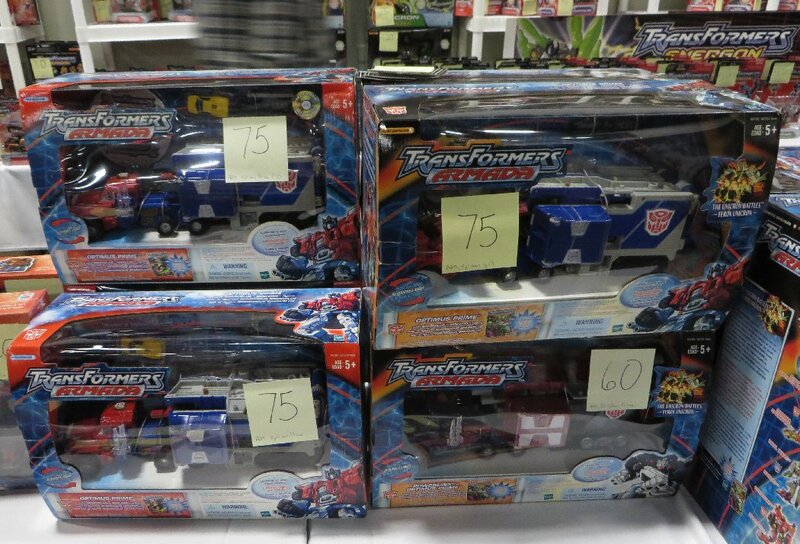 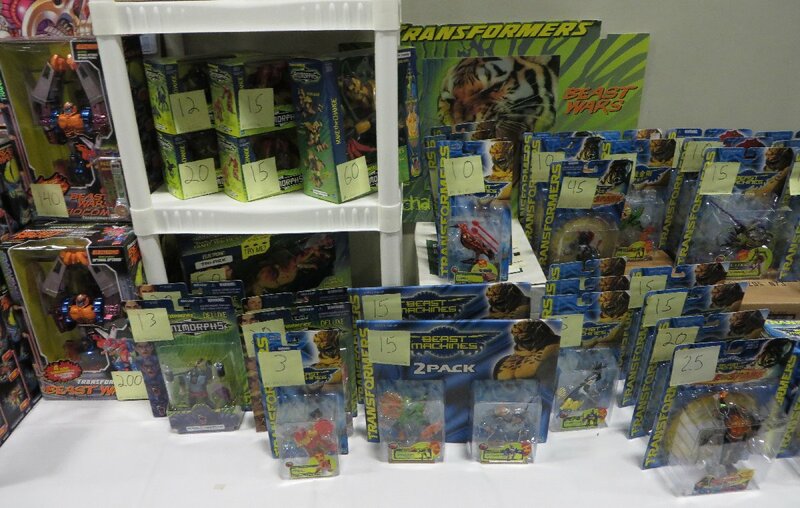 The next two photos are from the BotCon website, which I found later. 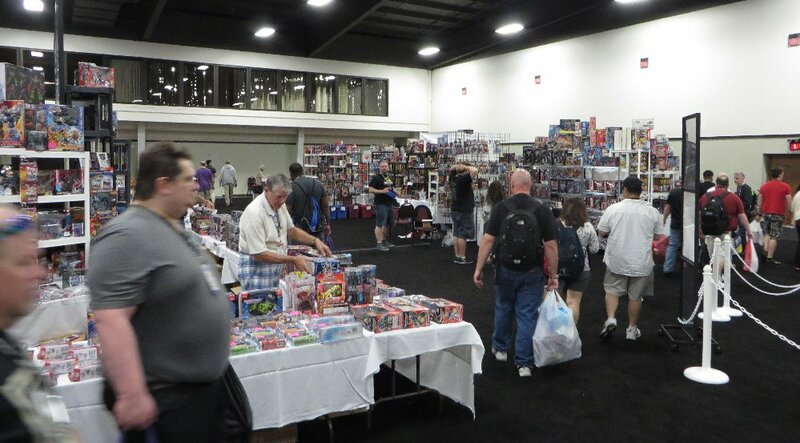 The first one is the side of the hall with the entrance and the Clube store at the back corner. 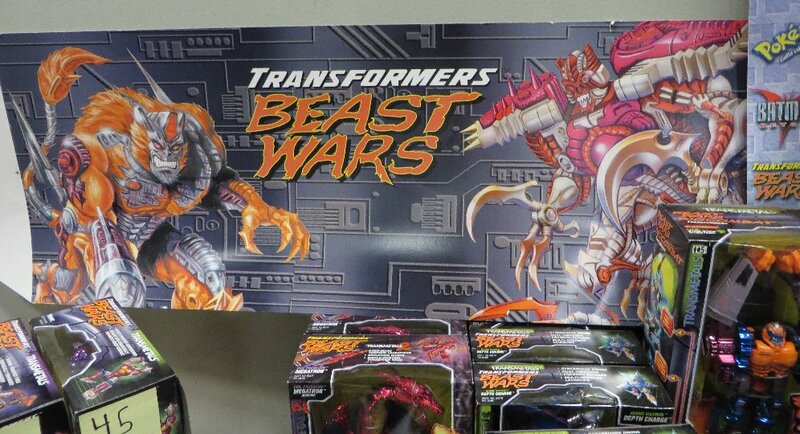 The second one is the other side with the Hasbro display at the far end. 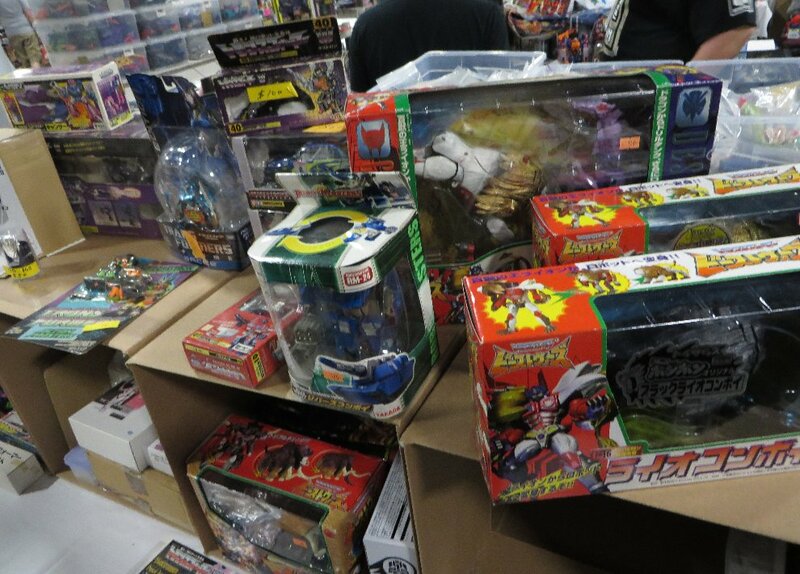 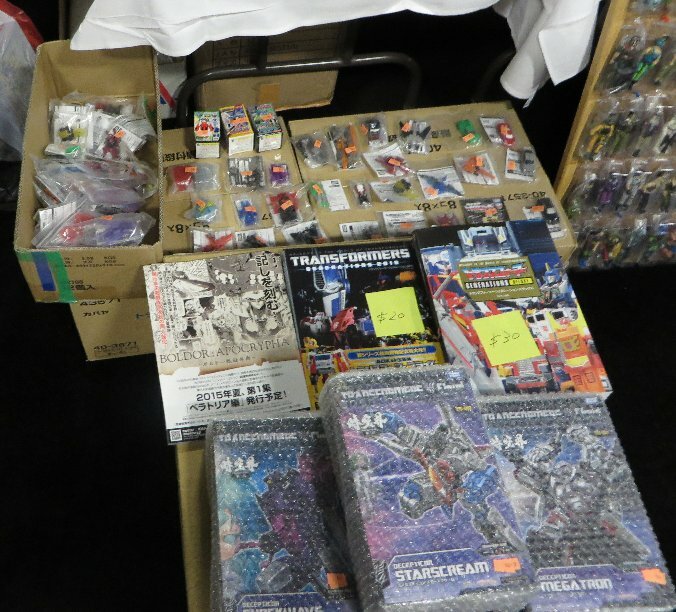 One of the regular Japanese dealers, who always has a great selection of recent toys and in-store freebie items... plus a few Japanese rarities. 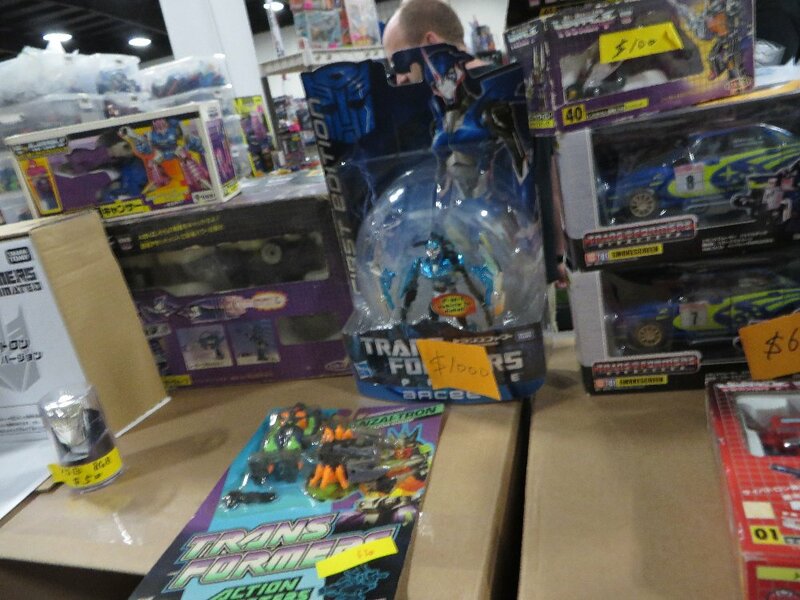 He has some good bargins too, with some cheap Generations Book exclusives (from $30) and Tokyo Toy Show toys ($100 for 2014 Nemesis Prime). 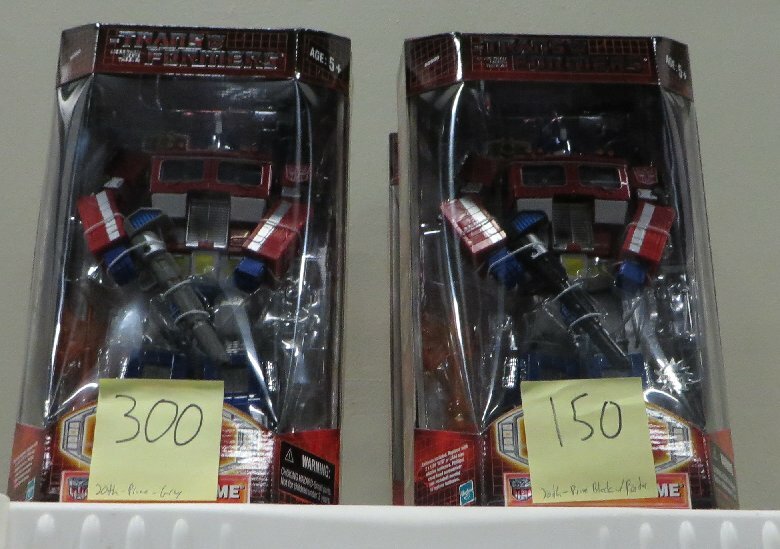 Plus at the end of the Sunday, his prices go even lower. 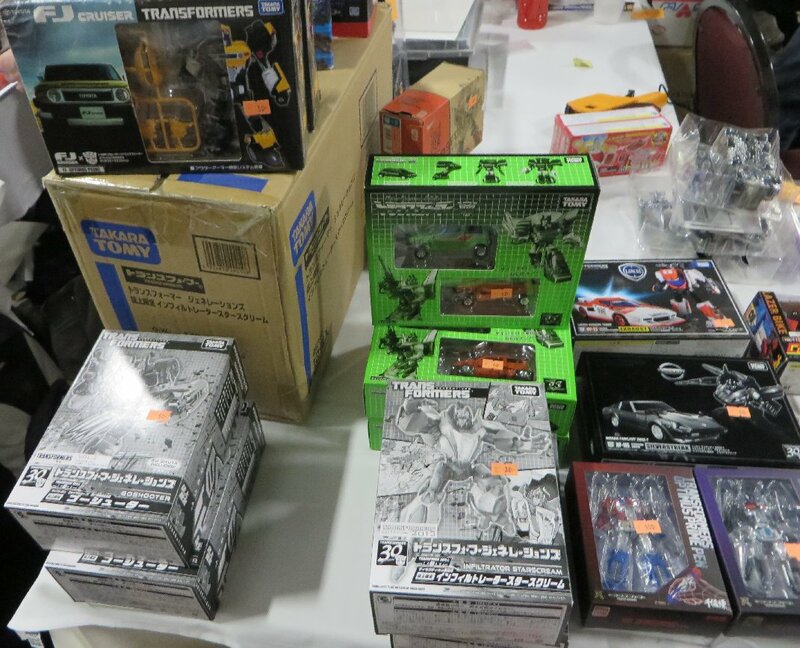 I was nearby when he put out about 15 cases of Kabaya model kits, for just $10 each... and people were grabbing them as quick as they could. 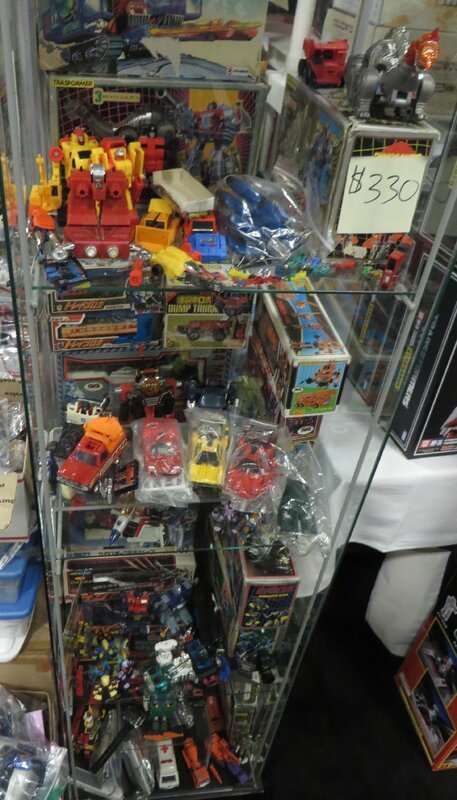 Some other dealers with rare or foreign items that caught my attention. 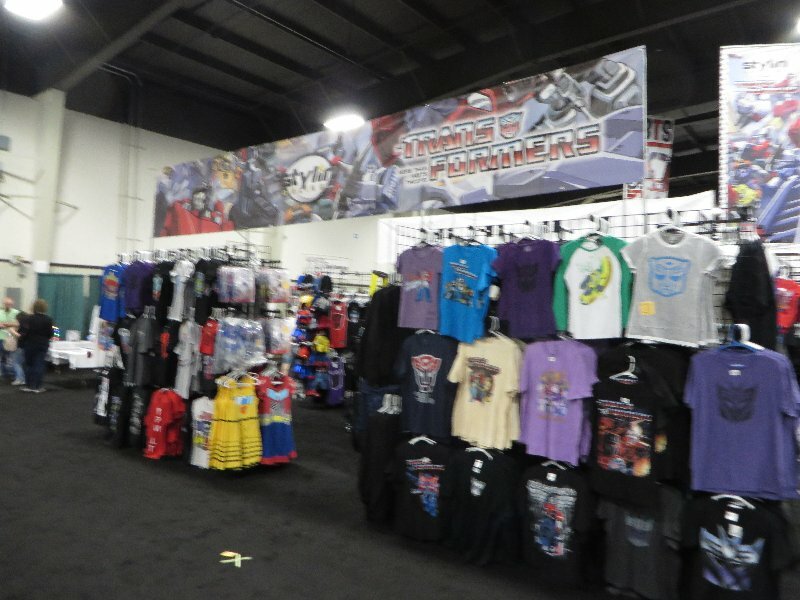 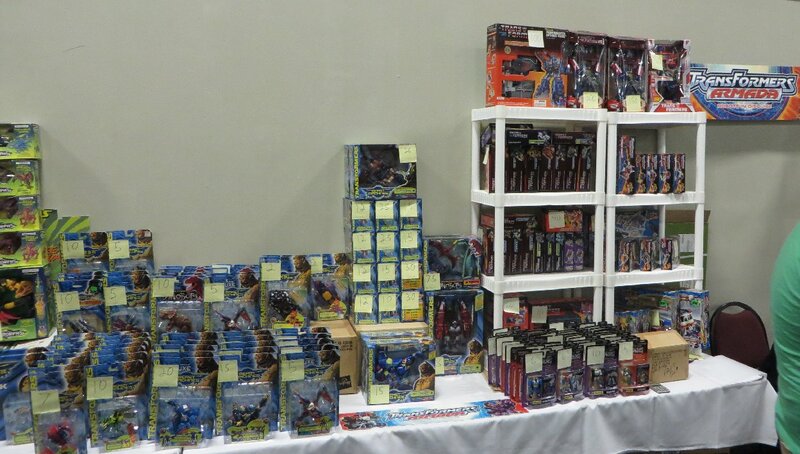 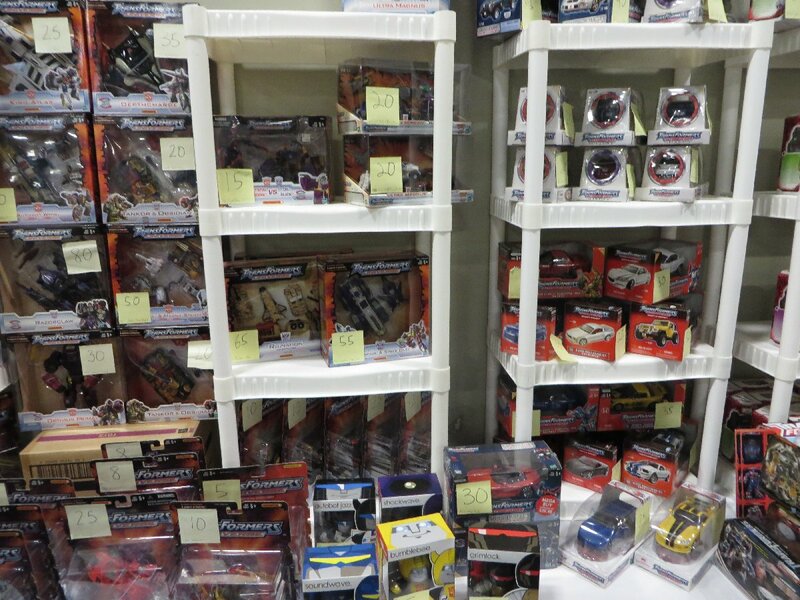 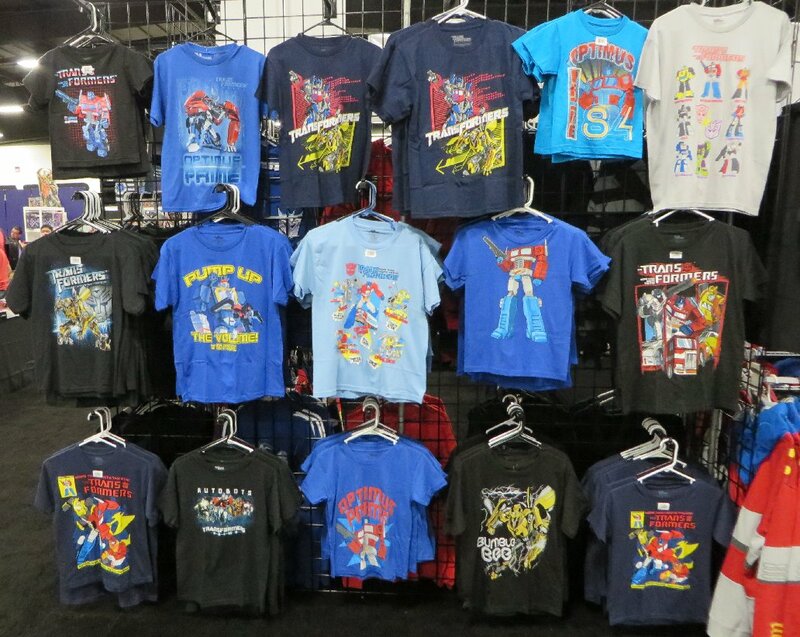 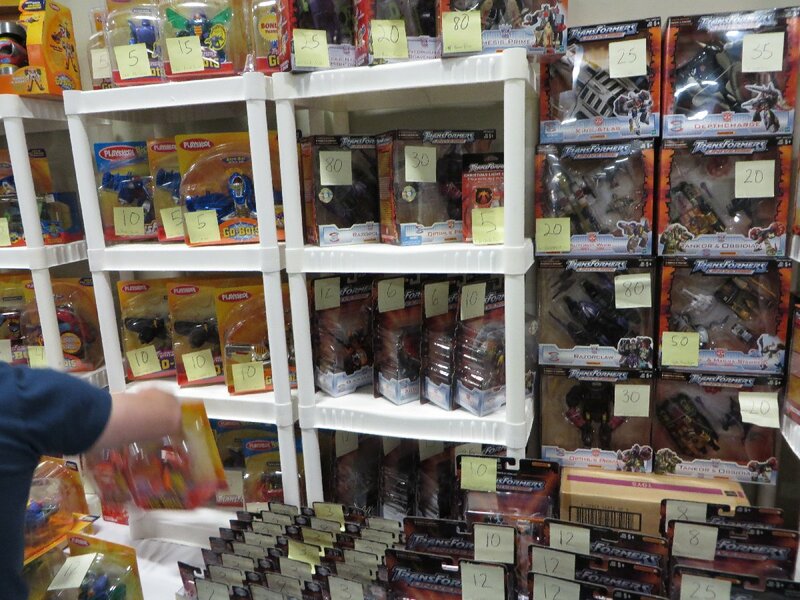 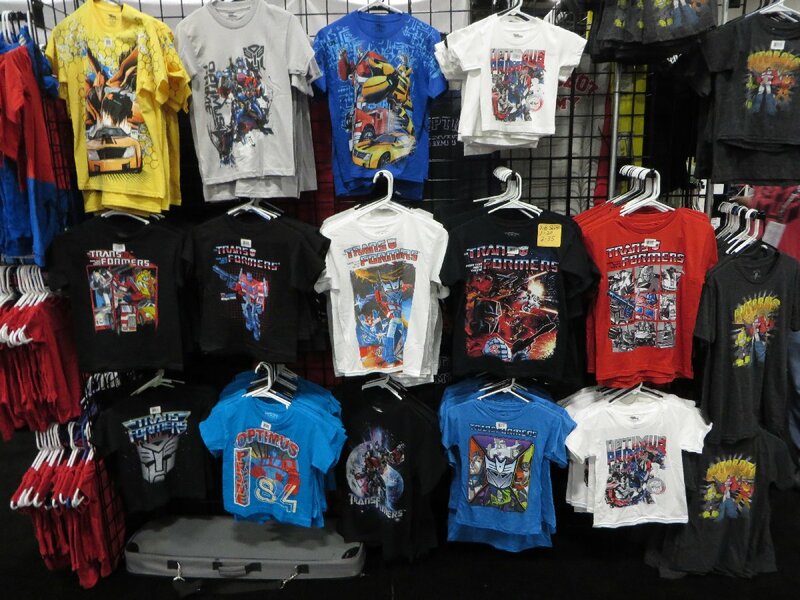 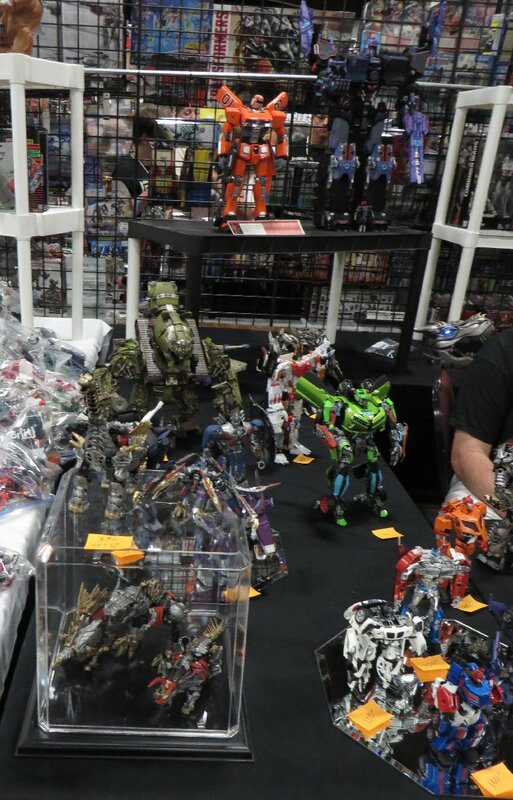 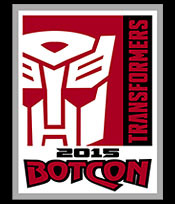 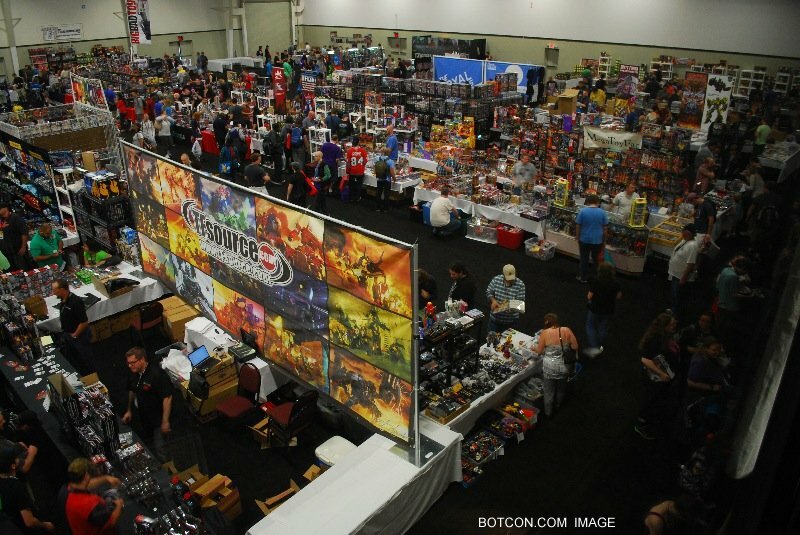 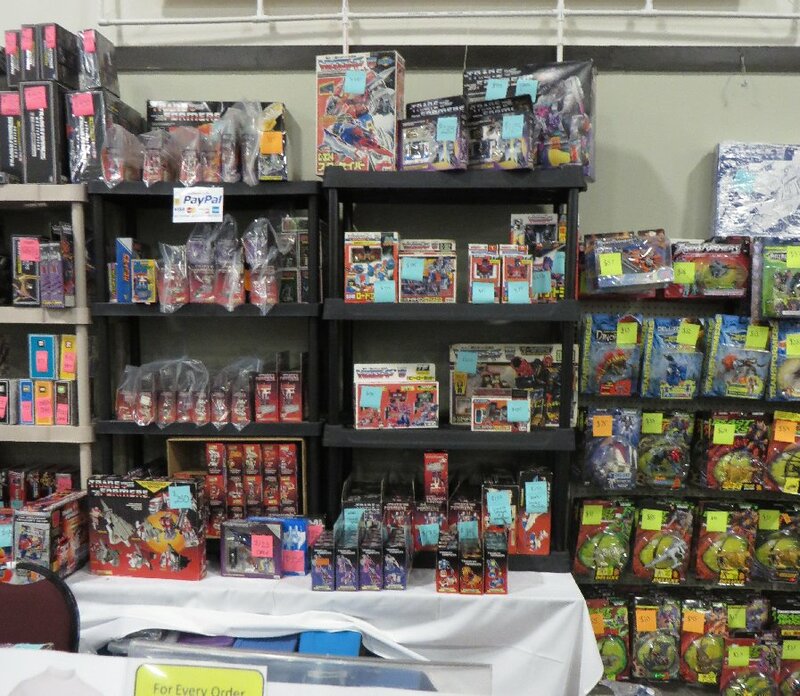 Transformers is truly a global Brand, that comes together into one place each year at BotCon. 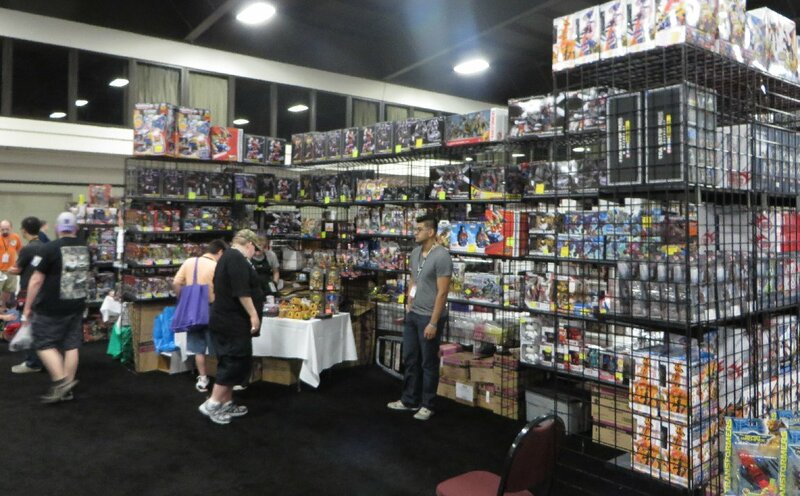 Artist area of the Dealer Room. 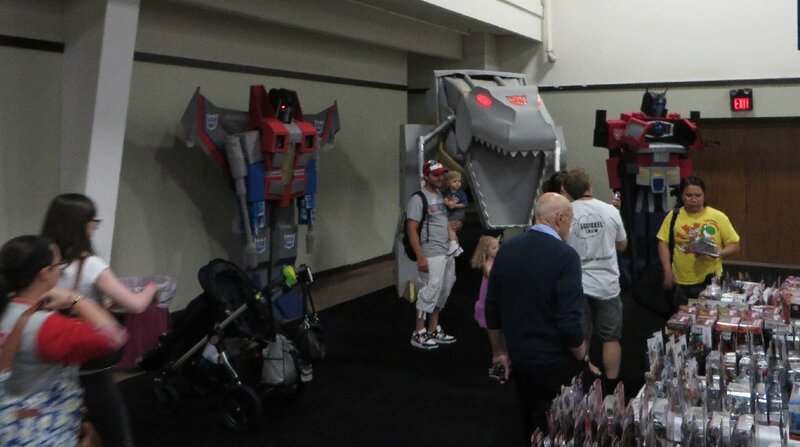 In one corner were these three Giant soft Transformers statues, that had light-up electronics. 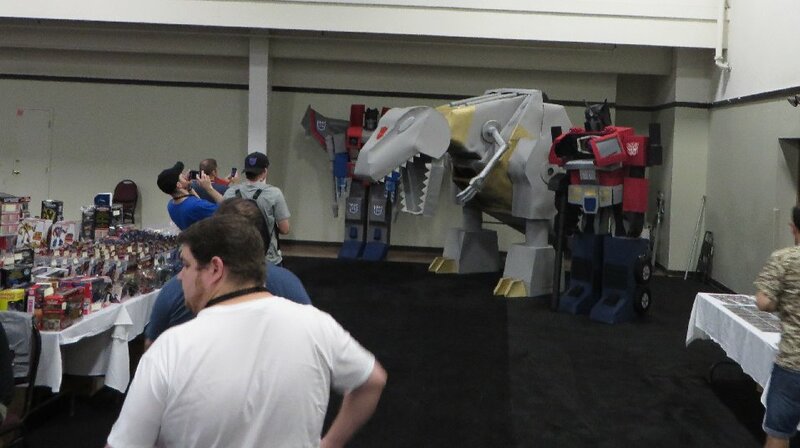 I didn't get to find out what they were there for, or who made them. 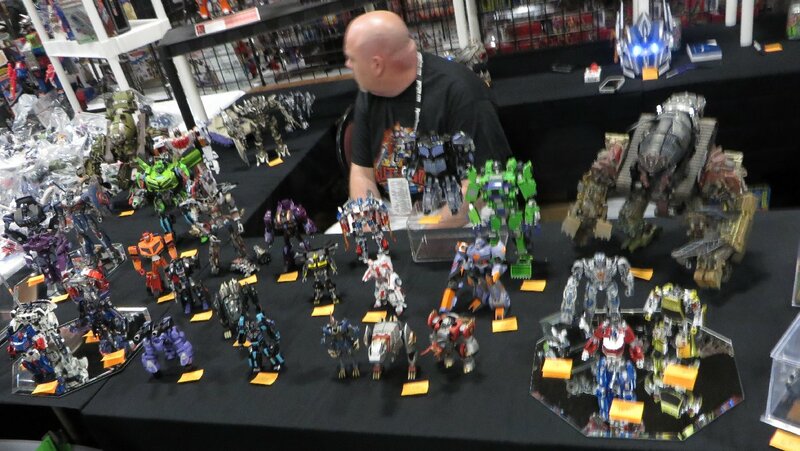 A custom painter of toys with a table of his creations. 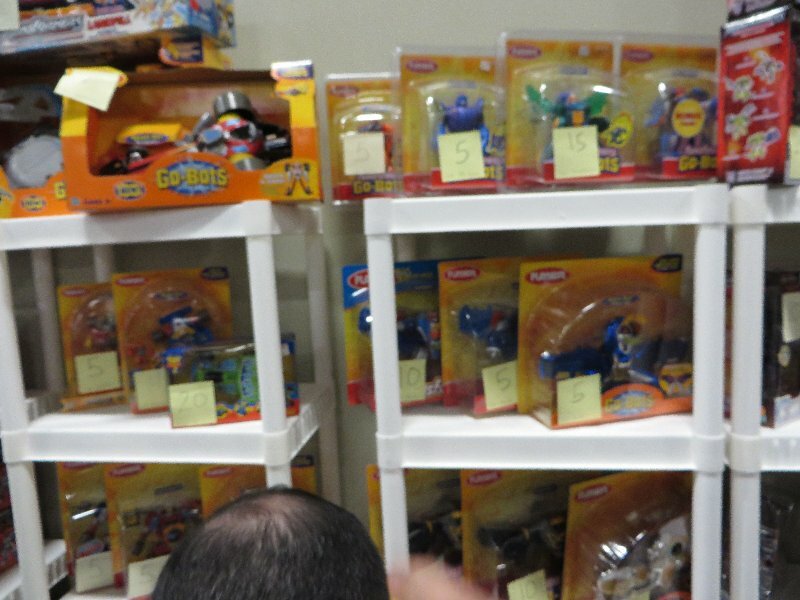 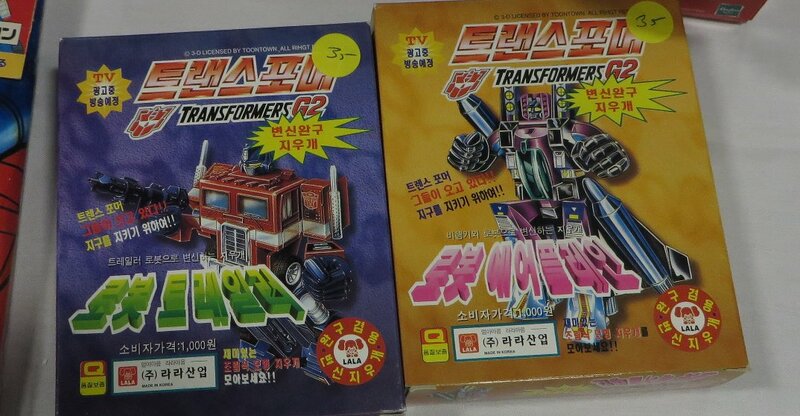 Keep in mind that they collected variations of all kinds, so when you see multiples of the same toy in photos, they were all different in some way, either by different packaging, different country or something different inside the box/card. 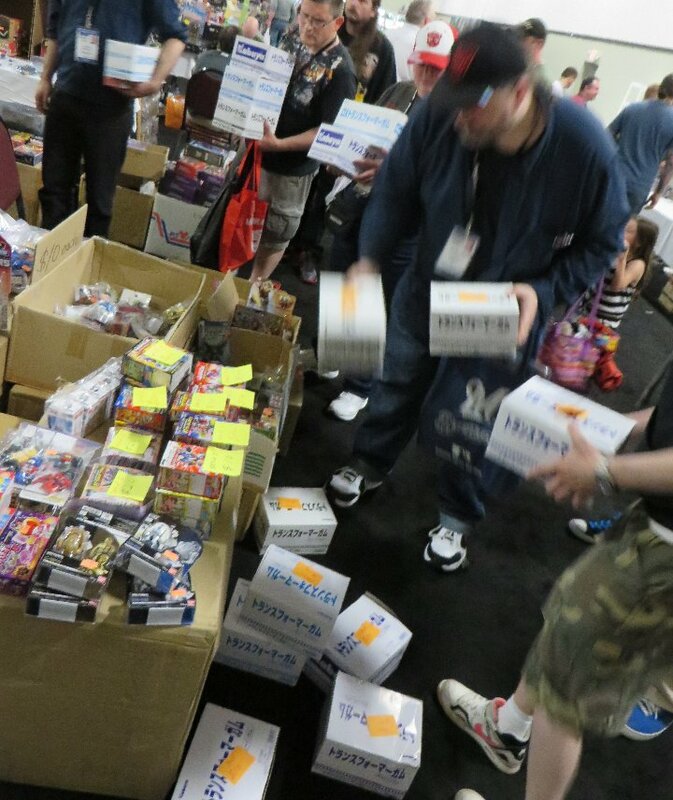 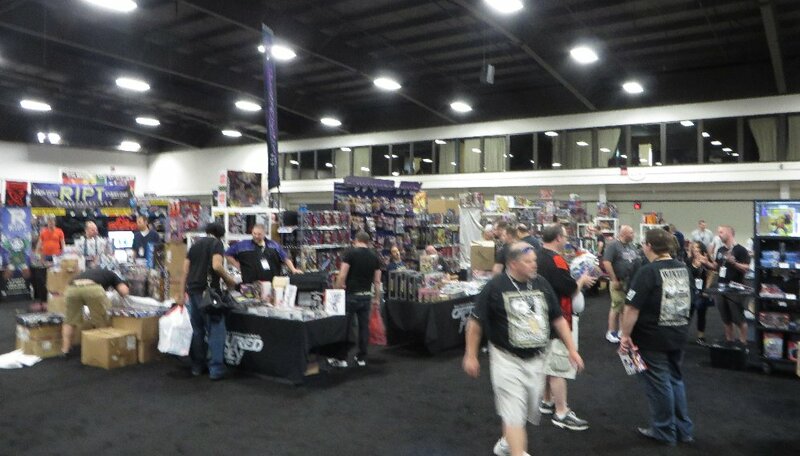 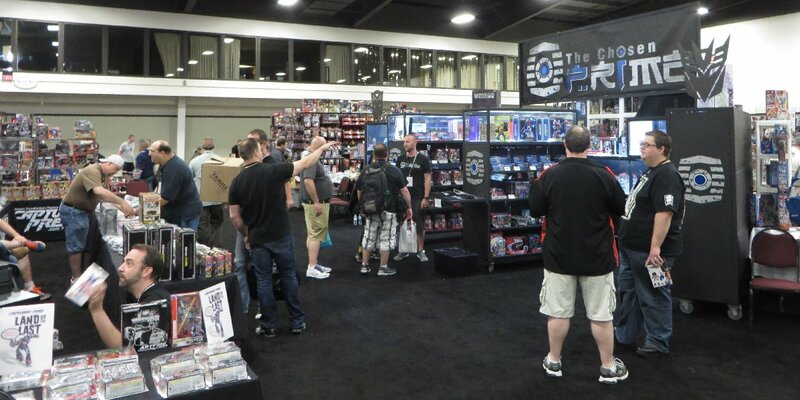 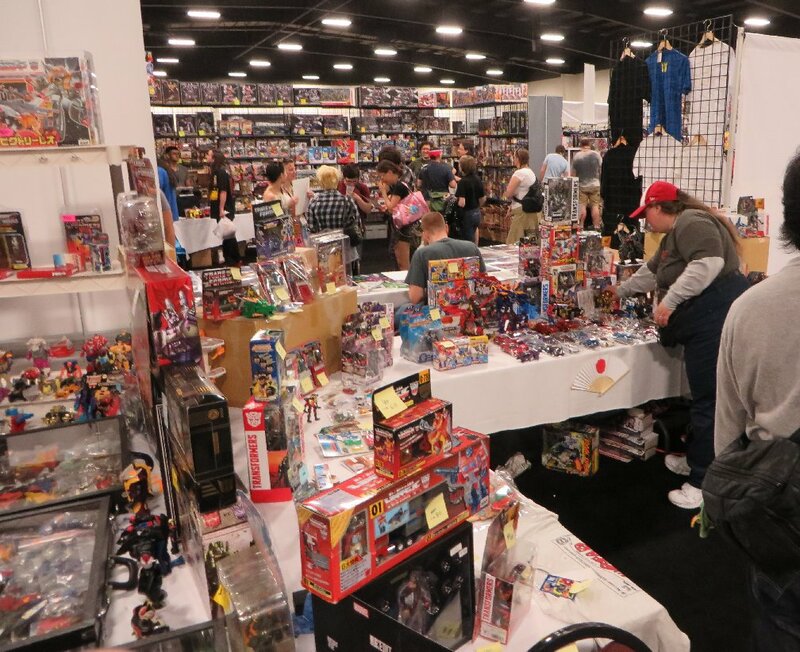 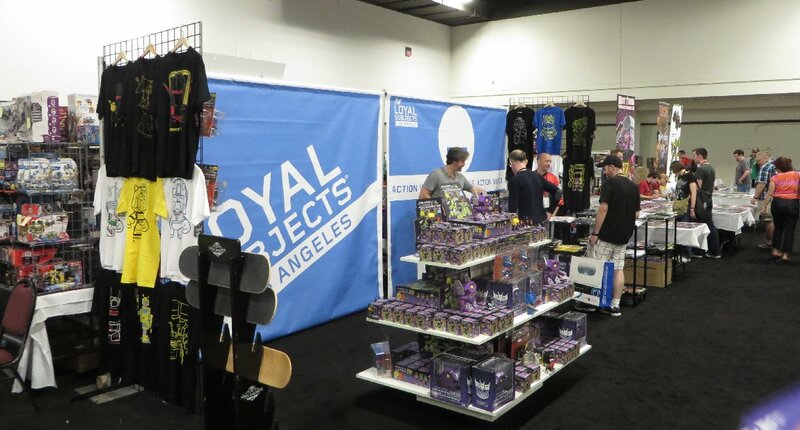 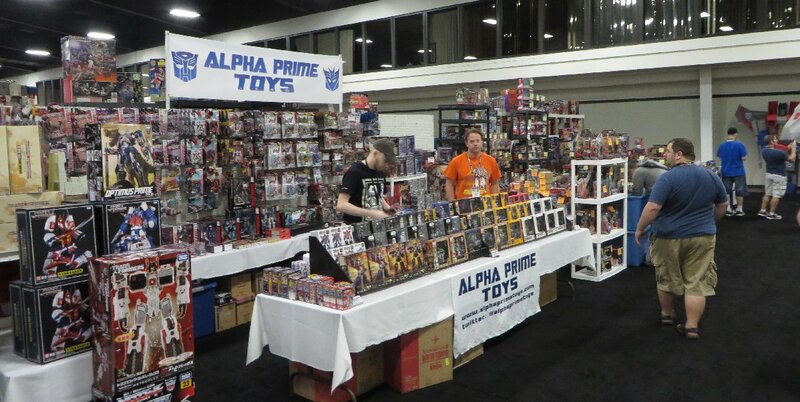 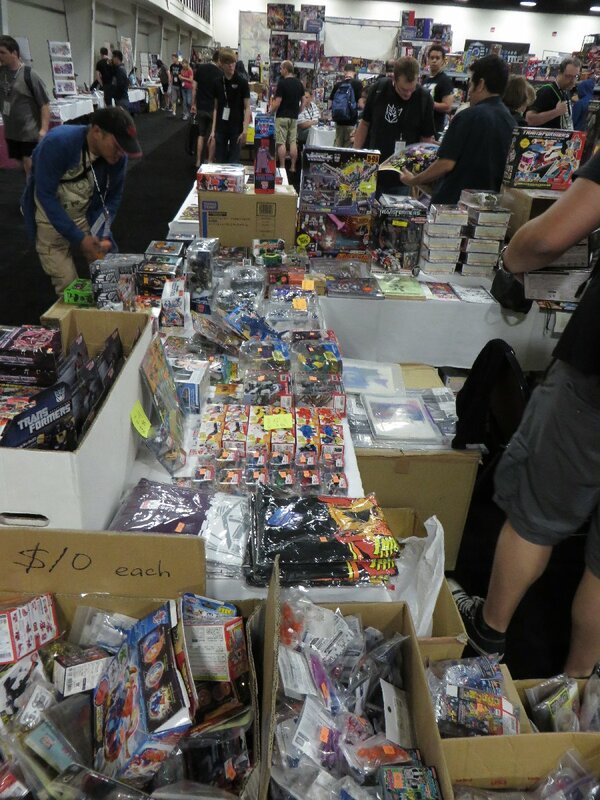 Friday at the opening of the Dealer Room. 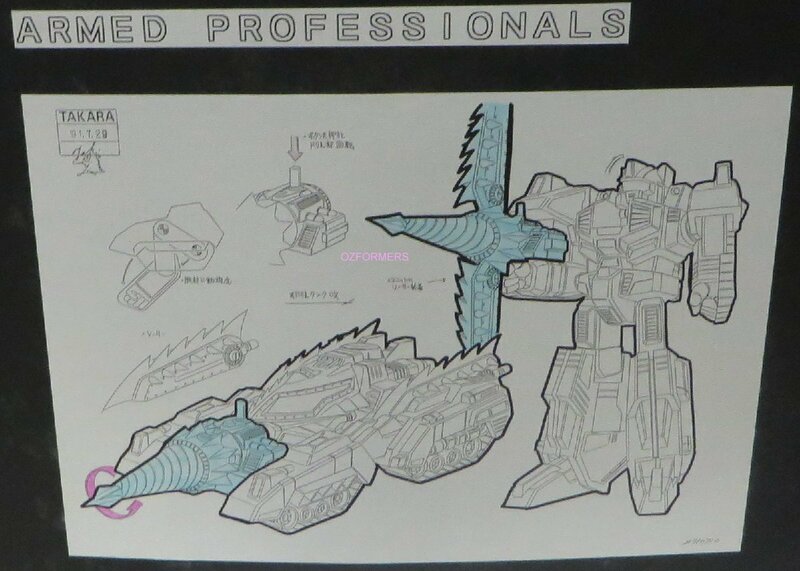 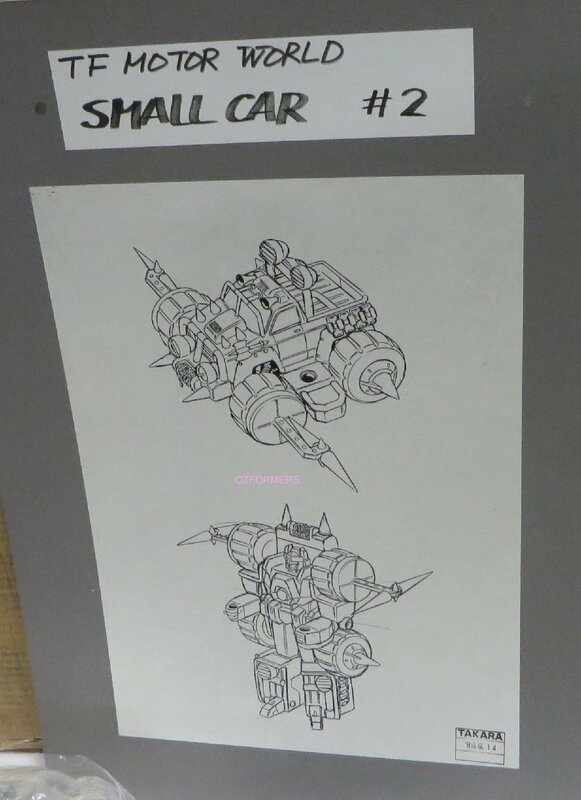 Aside from store banners for sale, they also had some concept art drawings from around 1989-1991, of some toys we could have seen if the Original Series didn't end. 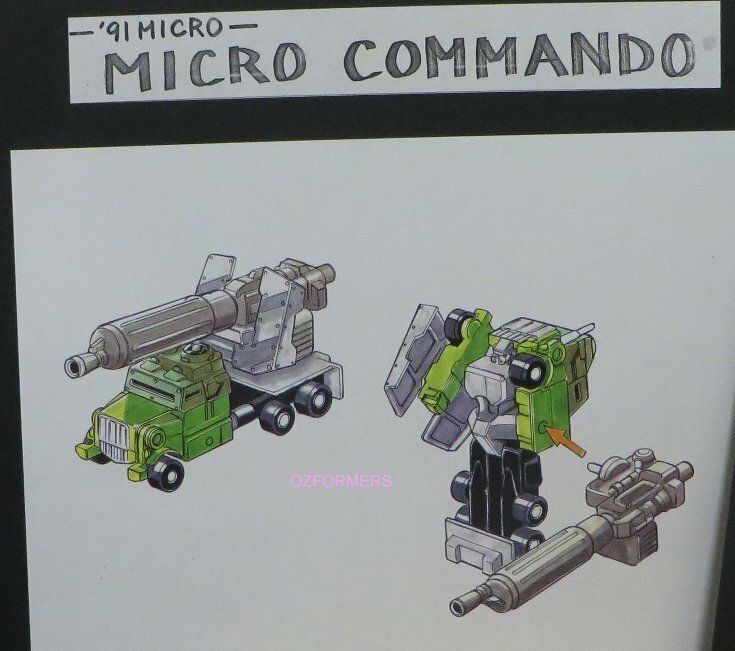 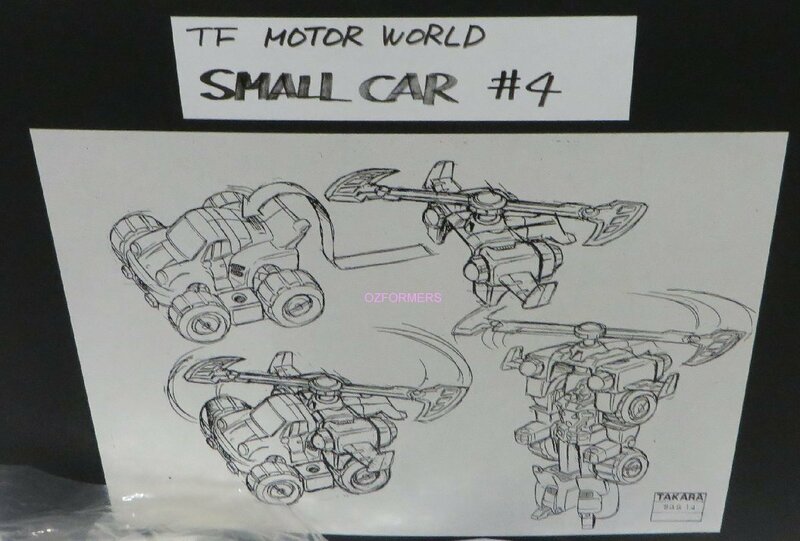 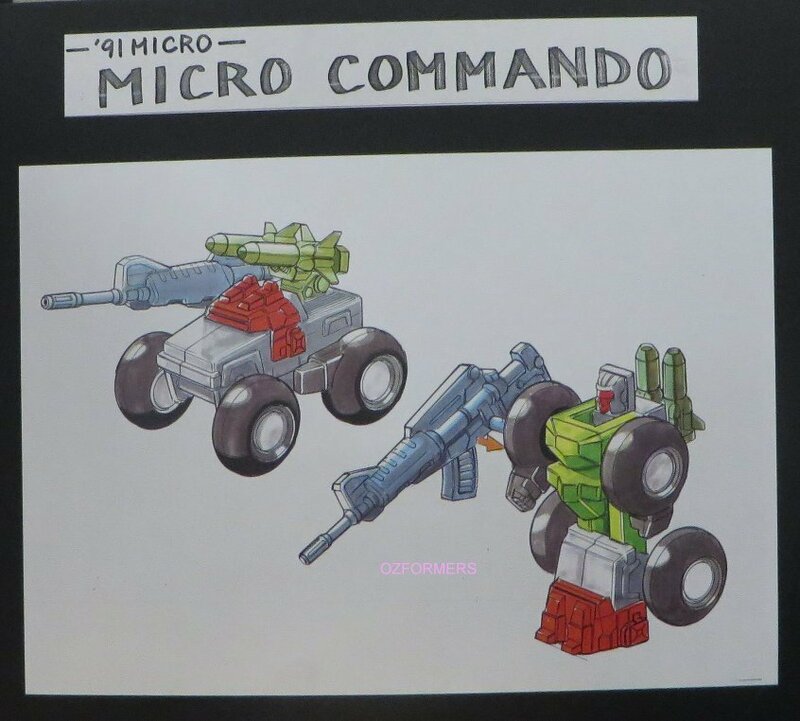 A concept drawing of another toy from the "Motor World" line was found about 7 years ago of a dump-truck that had a Buffalo as the front of the truck mode. 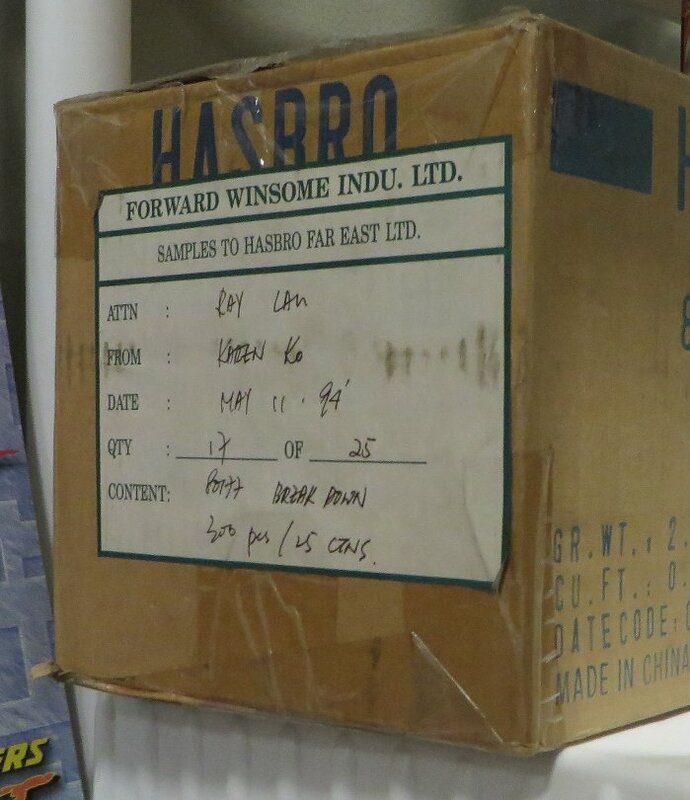 Hiding away at the back was a master carton for their BotCon 1994 Breakdown toys. 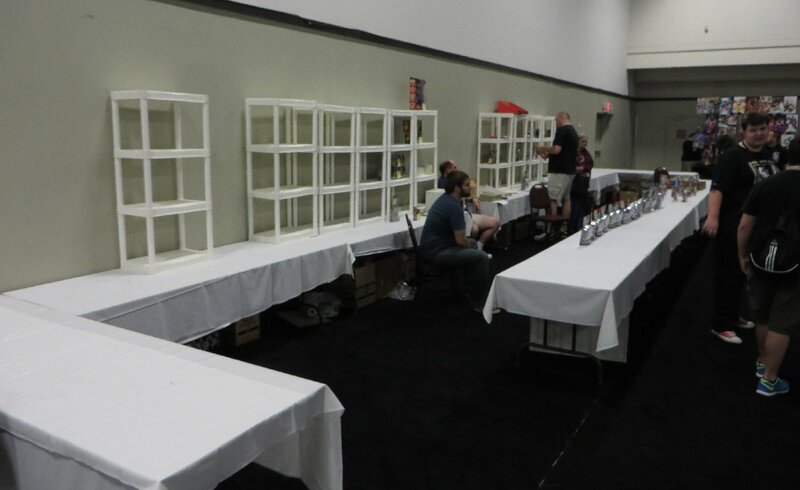 It was empty, but was for sale. 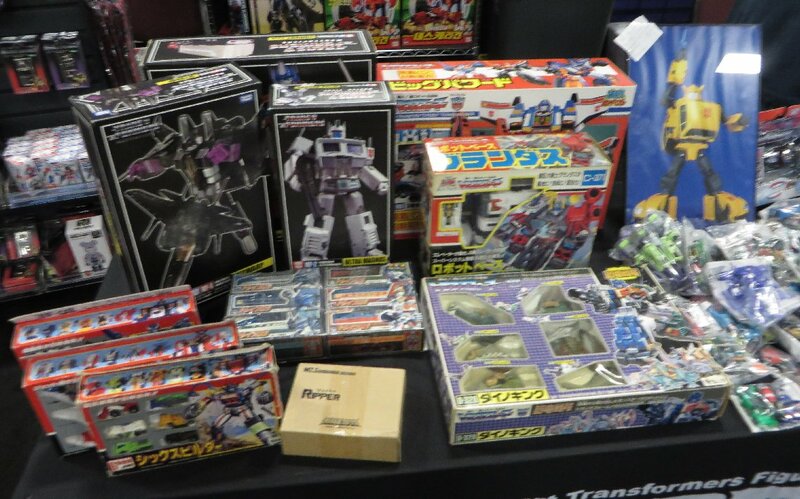 If I lived in America and drove to the event, I would have bought up a lot of their store displays... as they are very nice. 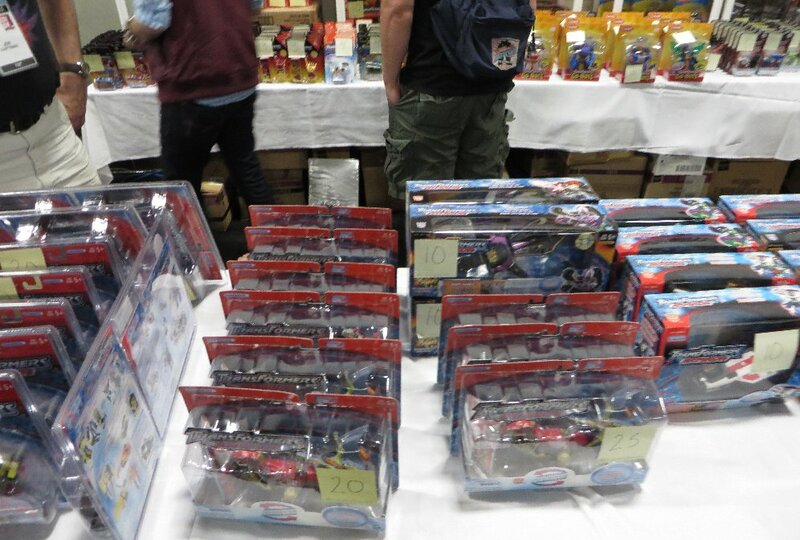 Then on the Sunday morning, with more red on the price tags, but still a lot left to sell. 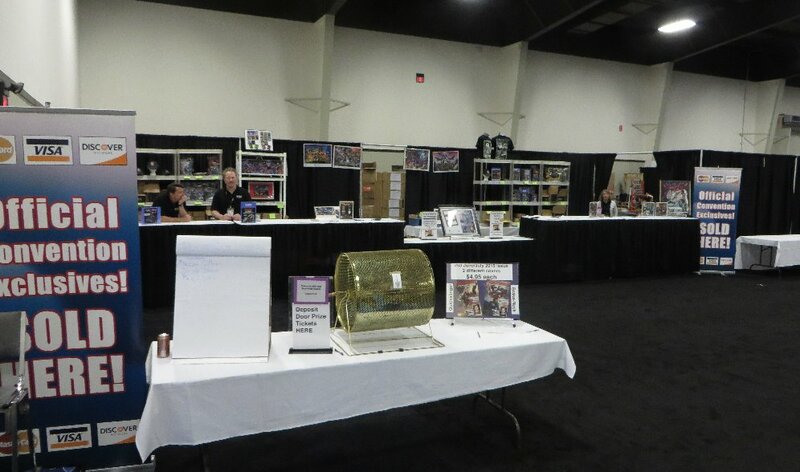 Somehow in the few hours after those last photos when I was last at their tables, they had managed to clear out almost everything. 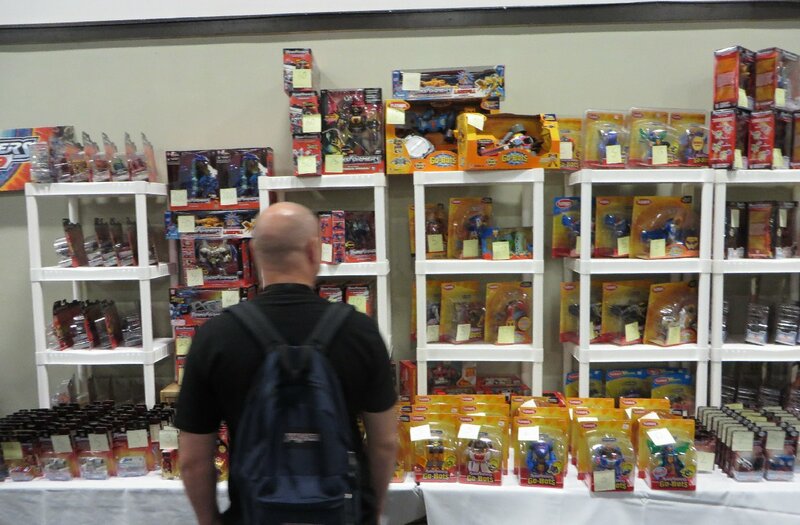 I hate to think how cheaply some of the items went for, and if they went to collectors or Dealers to resell online or on ebay for a tidy profit. 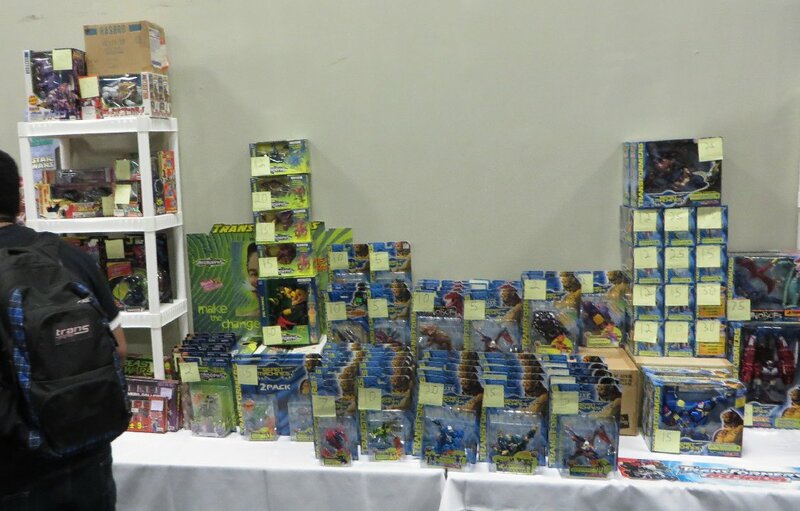 I'm sad that it is now all over for their old collection (they still collect the odd toy here and there), and sad that it must have sold for a lot less than it could have been worth, but I'm happy for them being able to achieve what they set out to do, and a lot easier than selling online or ebay.